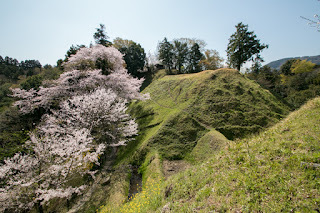 Kawamura castle (河村城) is built over Shiroyama hill, one of about 150 meter height from hillside just at the south of center of current Yamakita town. 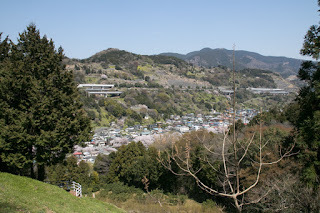 Yamakita town is the one at the western end of current Kanagawa prefecture, which is an important place of communication where Tomei Expressway, Route 246 and Gotenba-sen line gather. 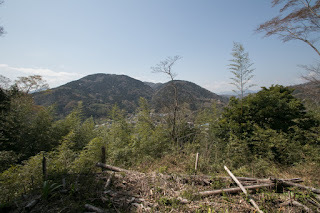 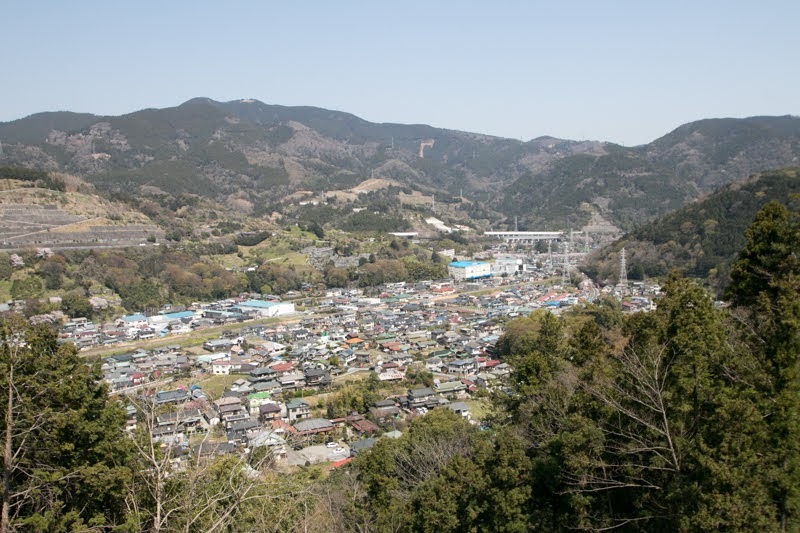 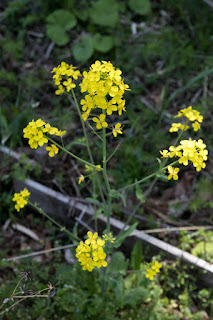 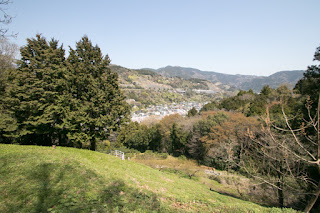 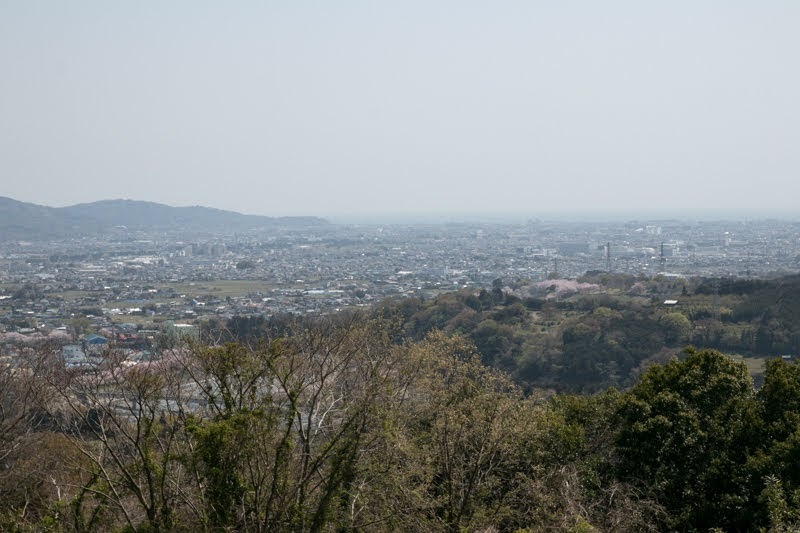 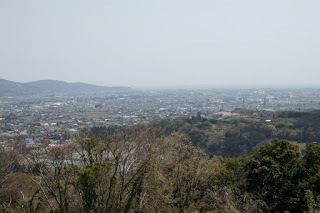 Odawara area which was the western end of Kanto region and Numazu area at the eastern end of Shizuoka area is separated by sheer Hakone mountains, and historically there have been three roads to pass or detour Hakone mountains and connect both areas. 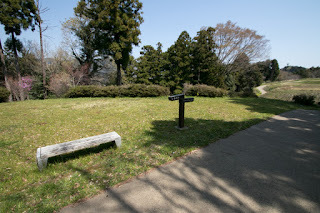 The first route is Hakone toge pass, directly climbs the outer rim of Hakone mountains then pass the side of Lake Ashino-ko and goes down toward Odawara along with the valley of Sukumo-gawa river through Hakone Yumoto. 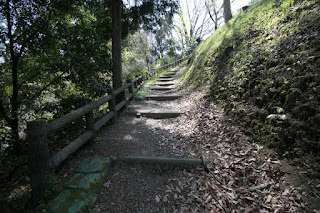 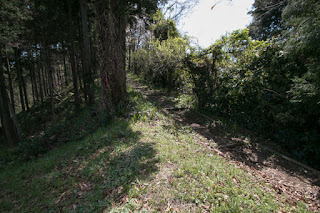 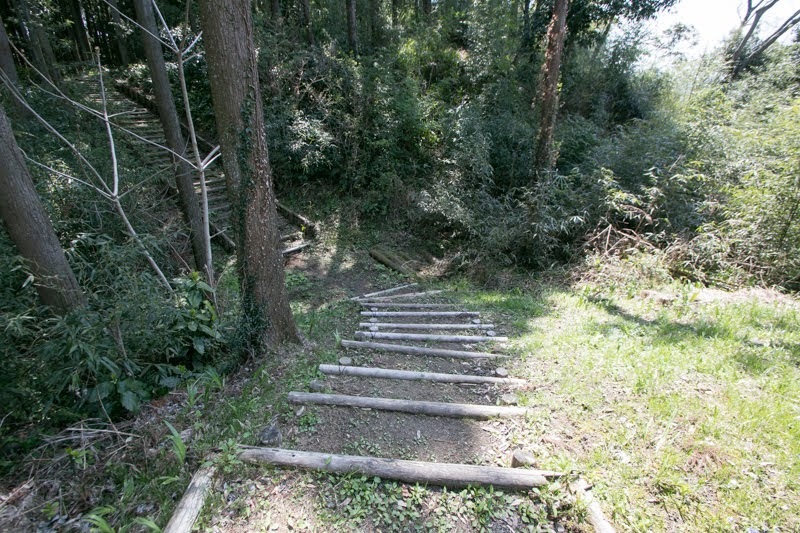 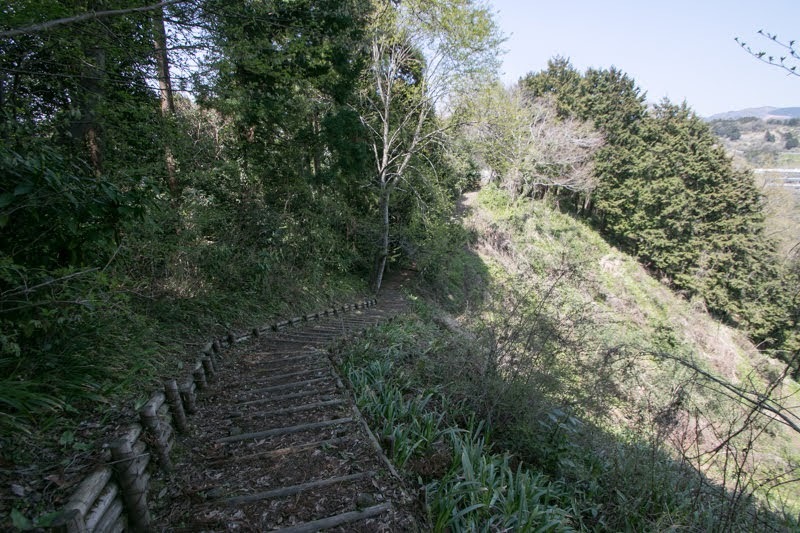 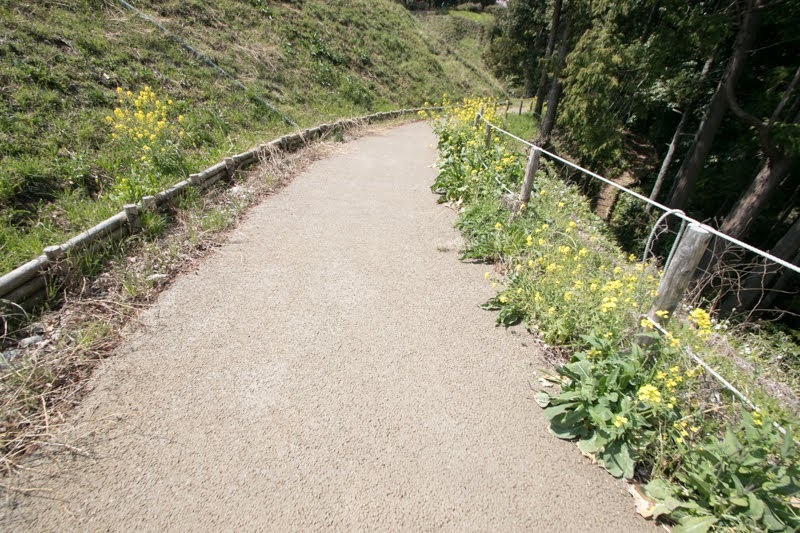 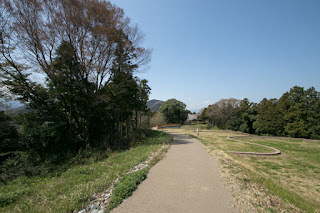 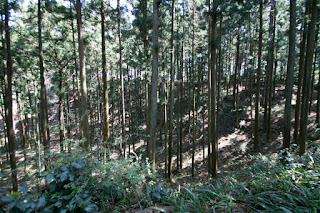 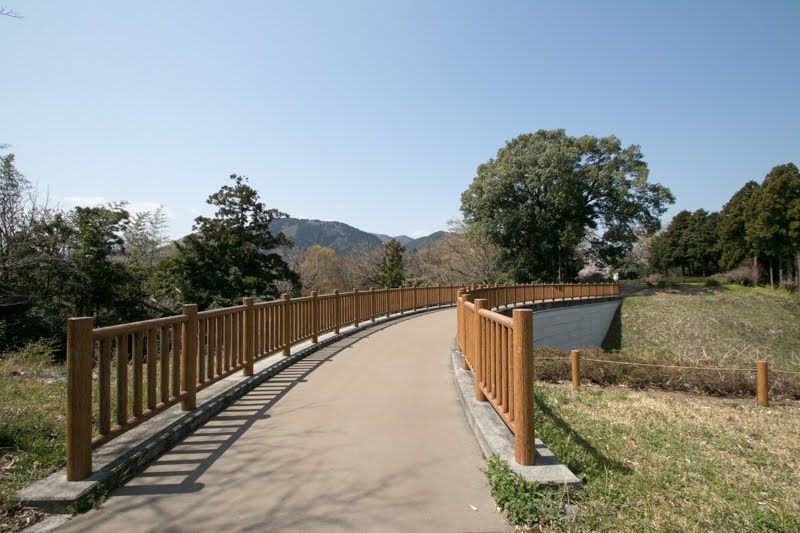 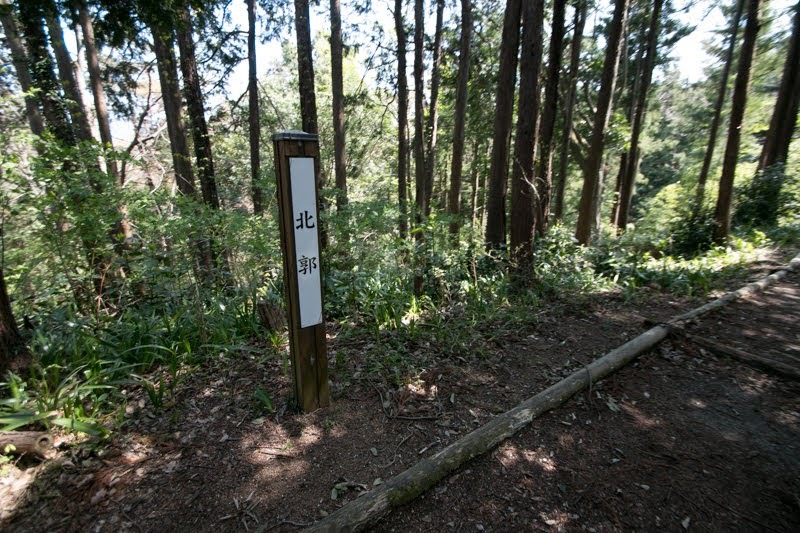 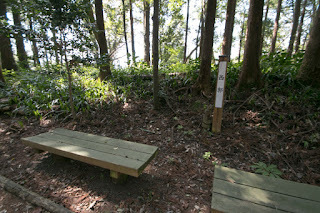 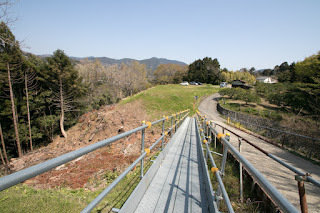 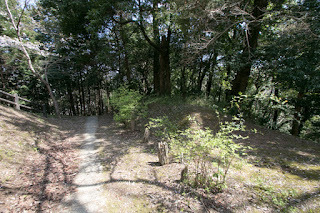 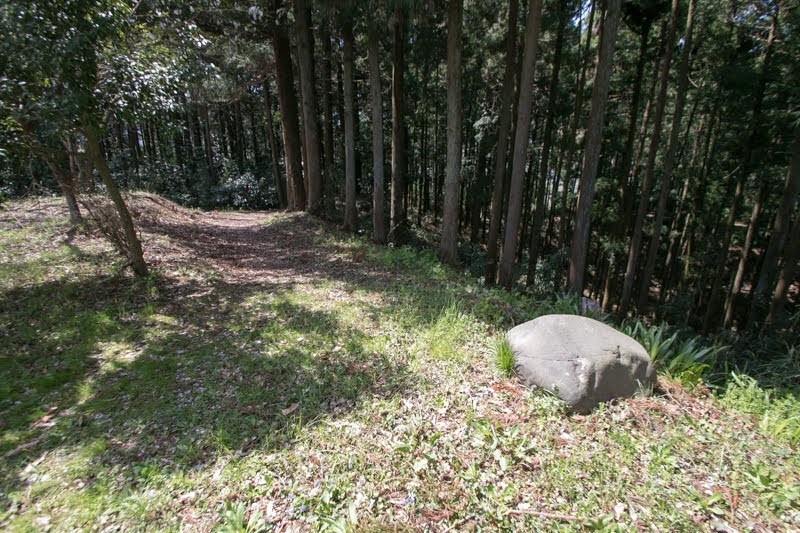 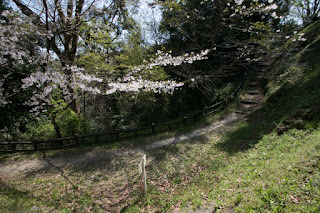 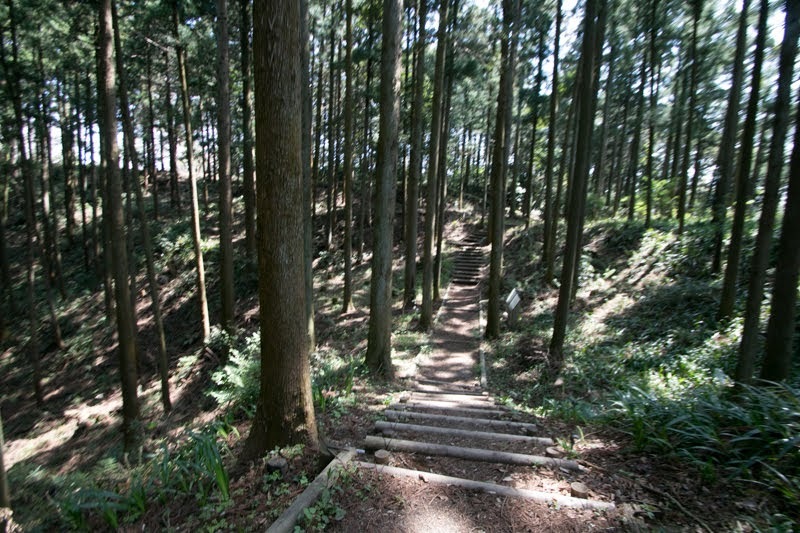 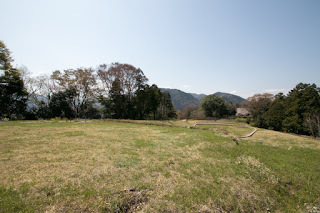 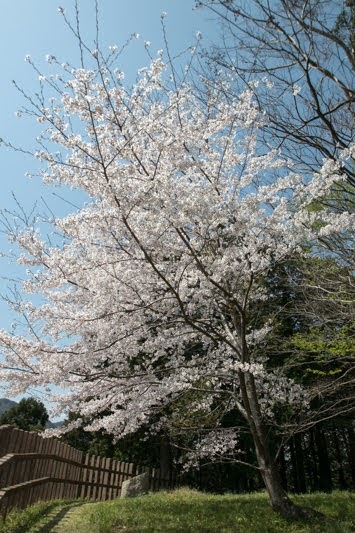 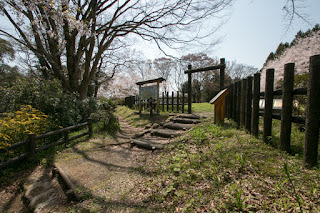 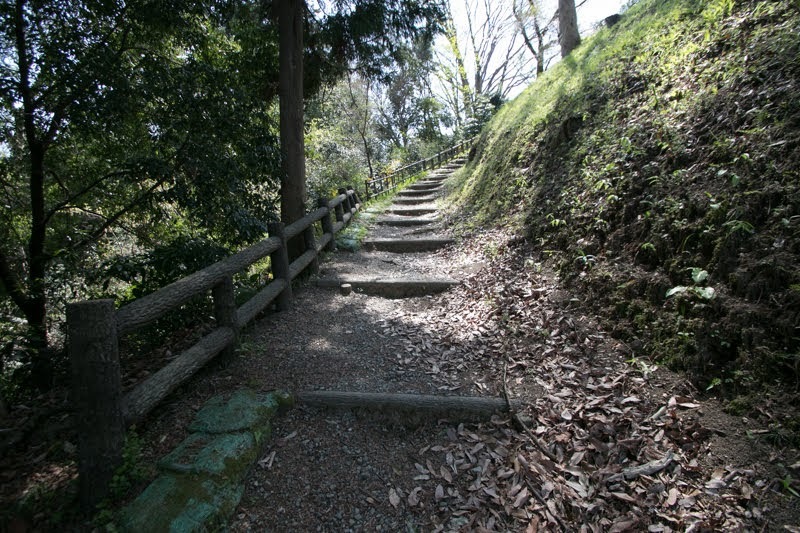 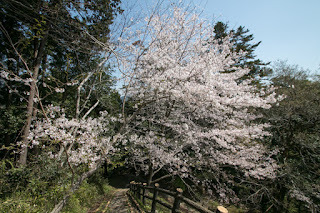 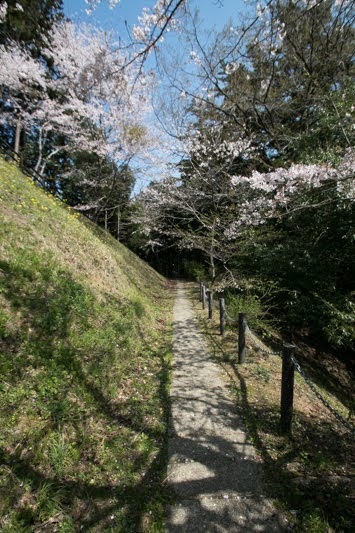 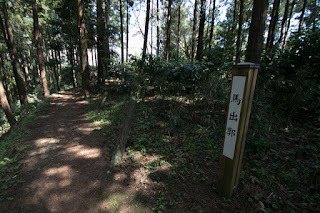 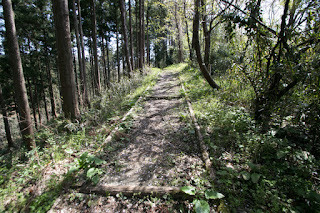 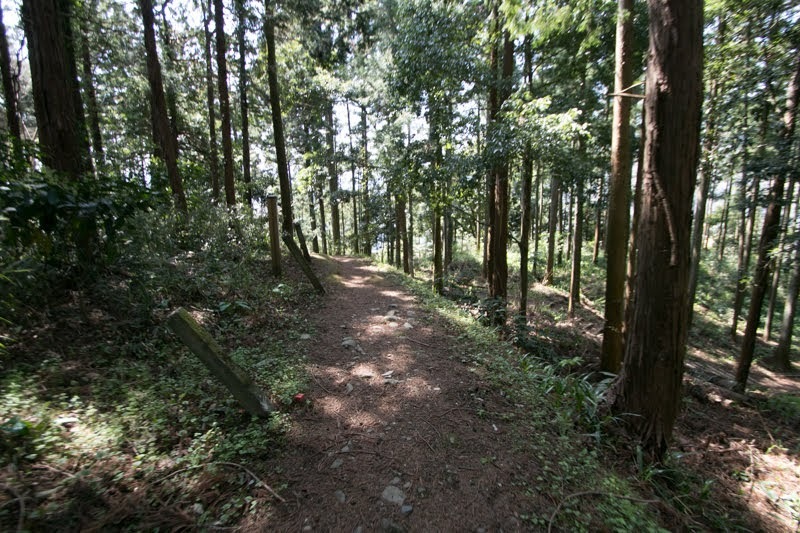 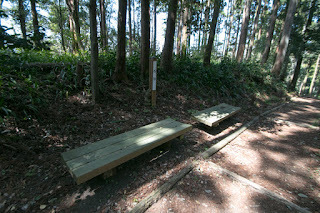 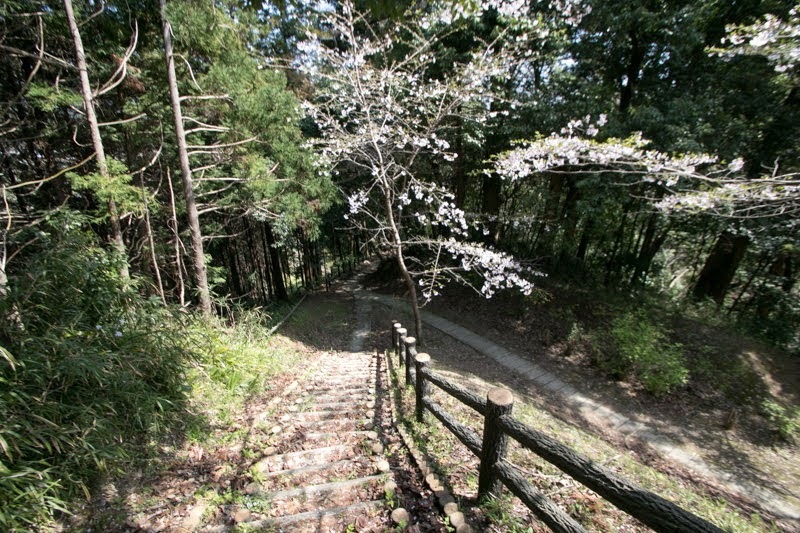 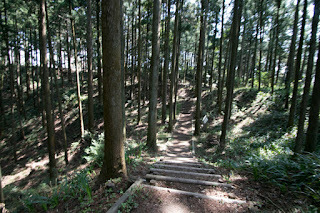 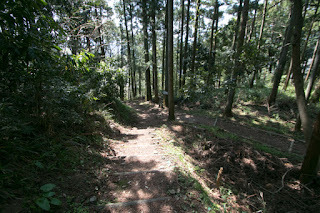 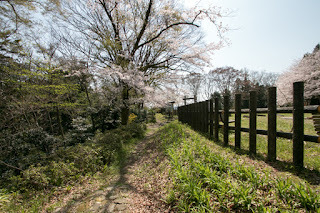 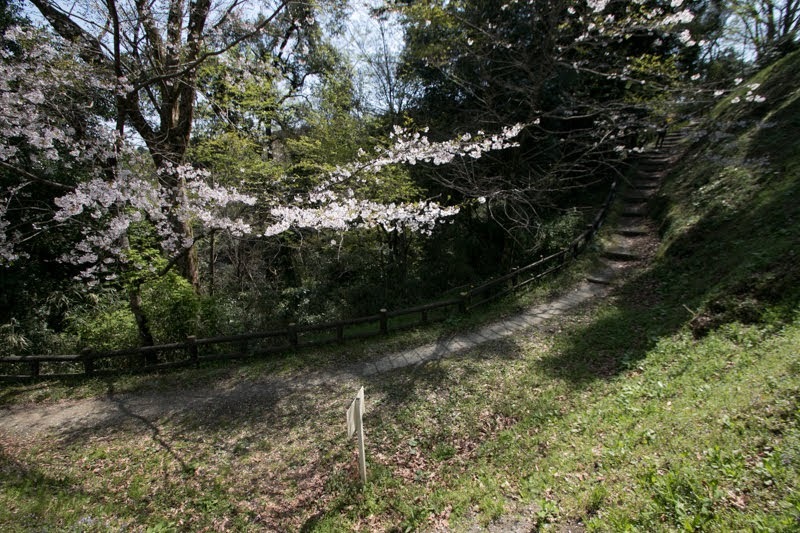 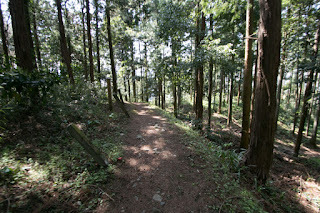 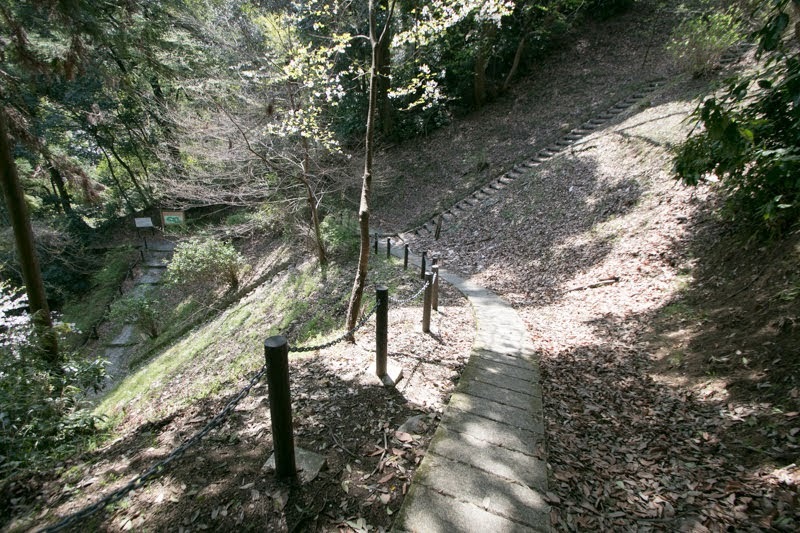 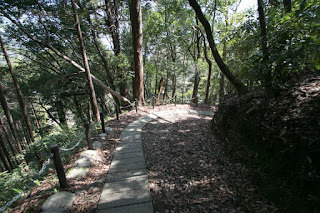 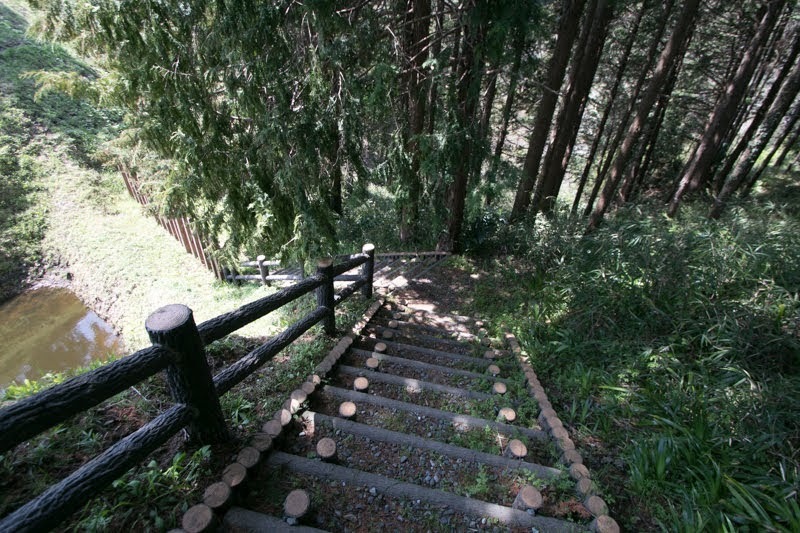 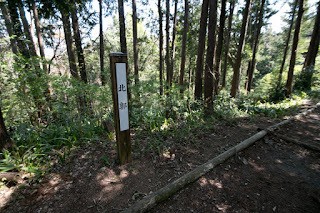 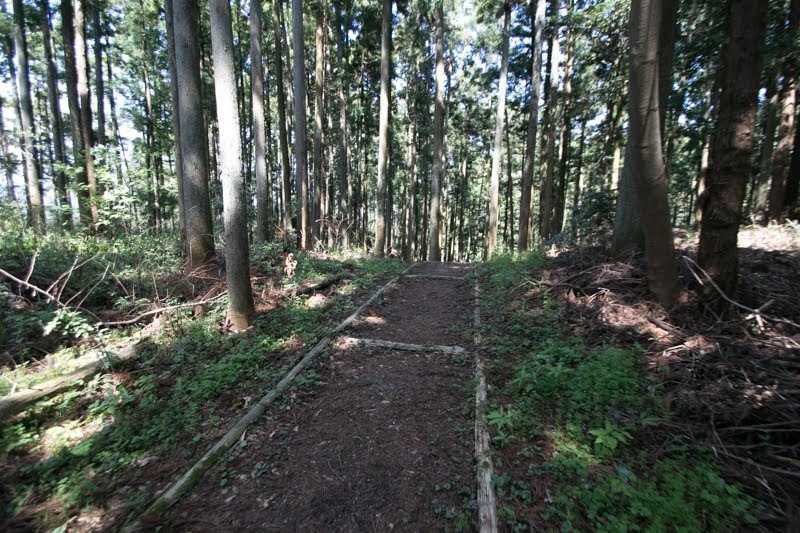 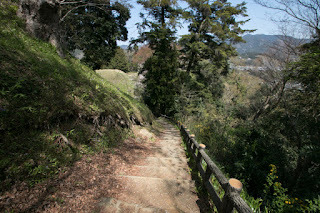 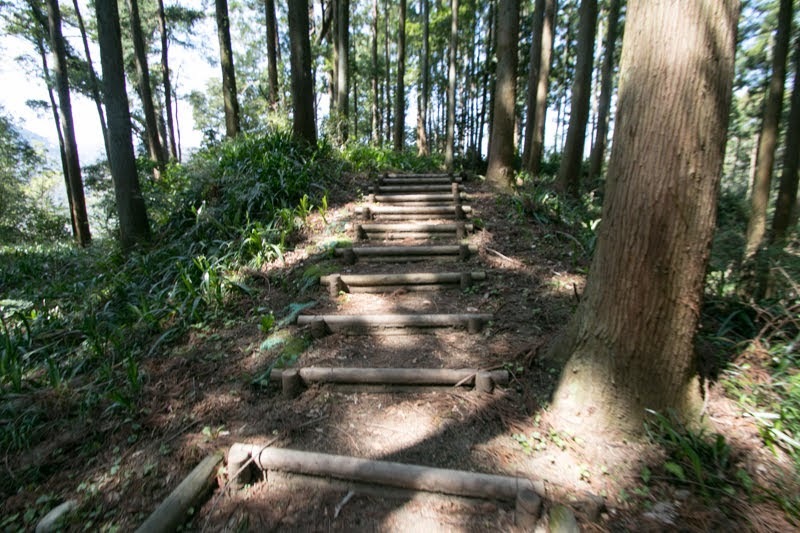 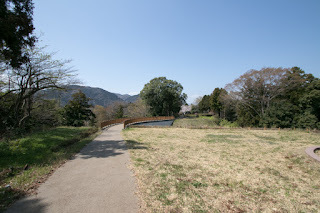 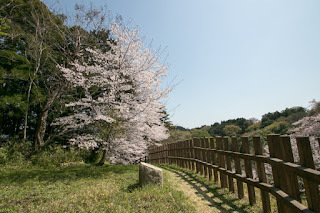 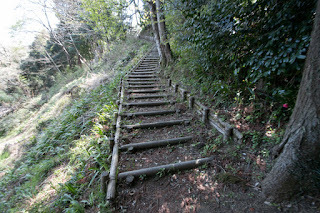 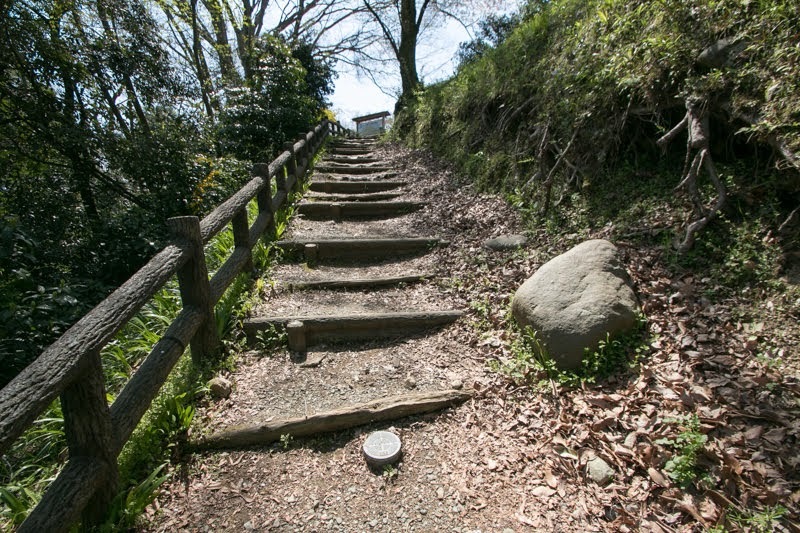 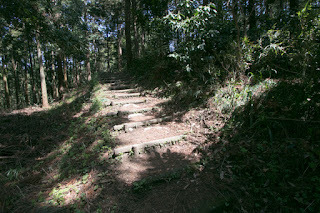 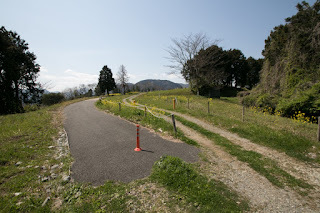 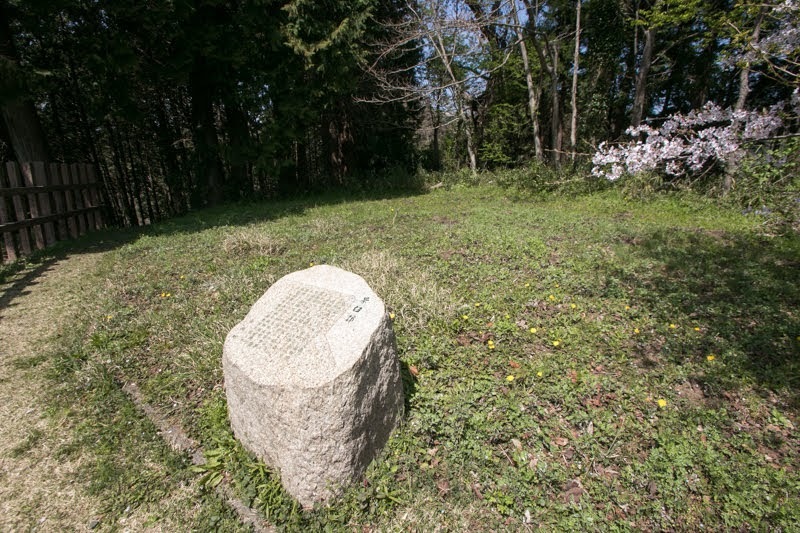 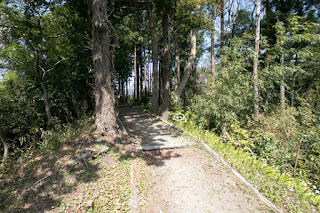 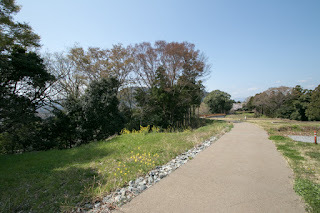 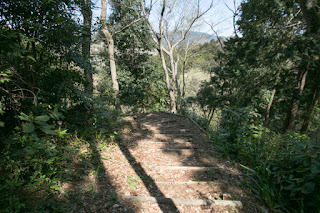 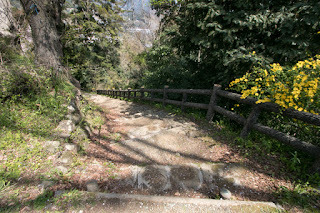 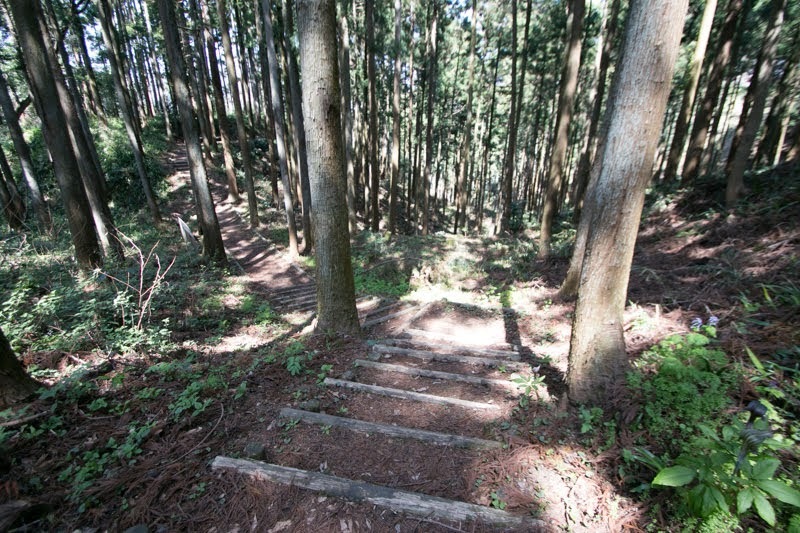 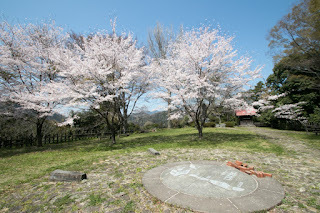 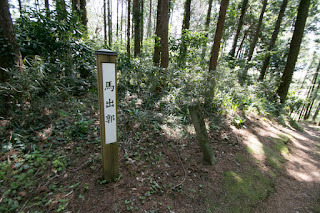 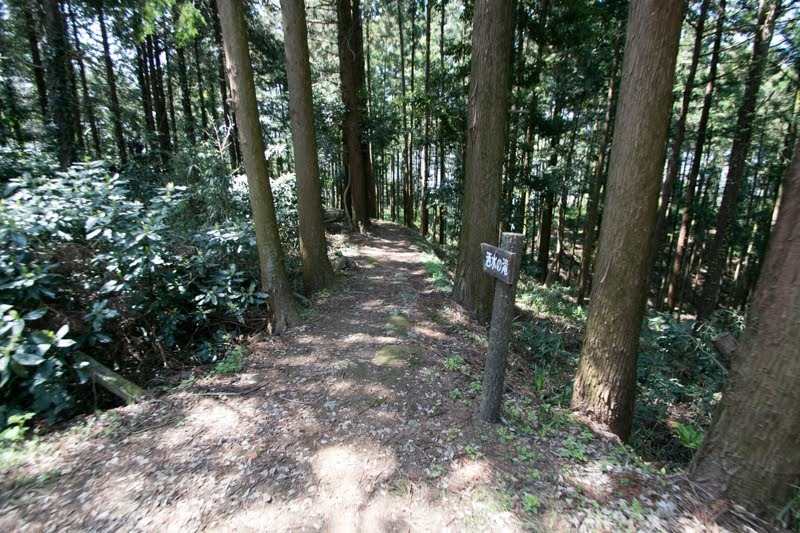 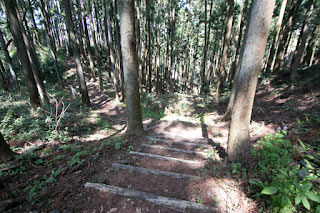 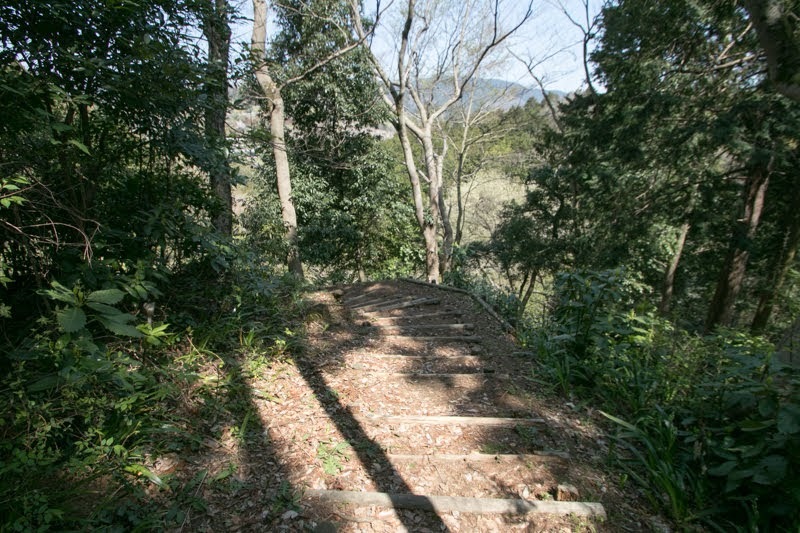 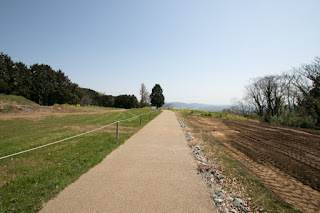 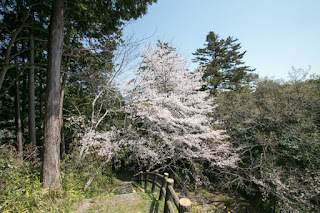 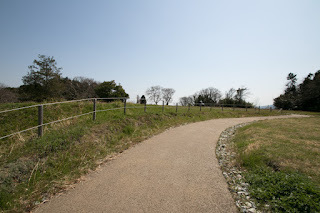 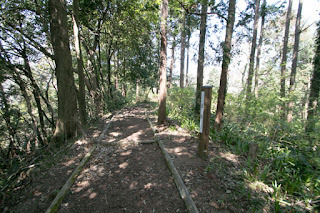 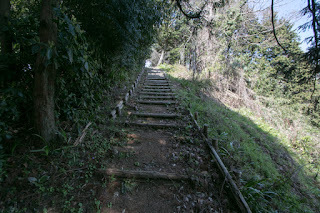 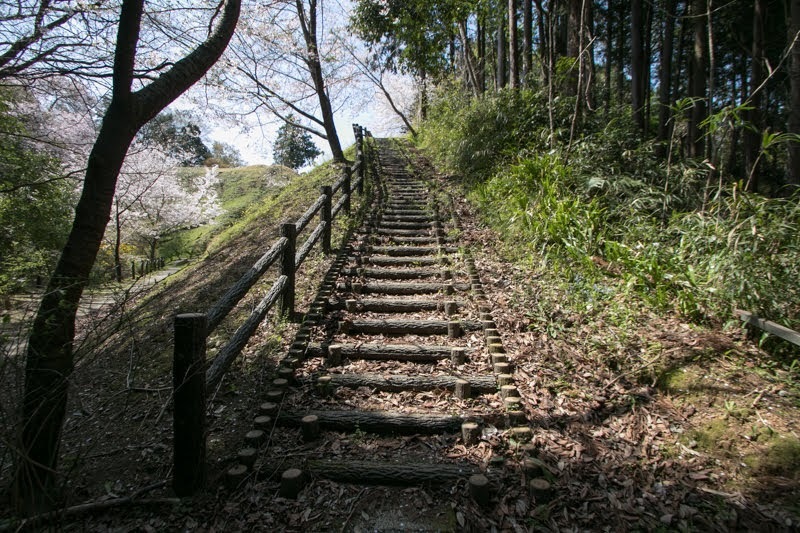 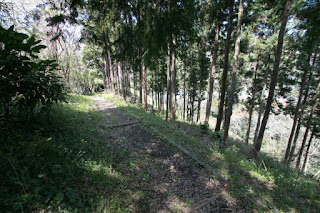 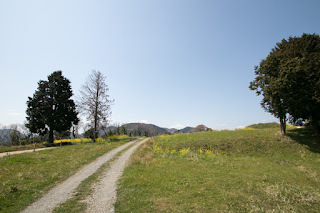 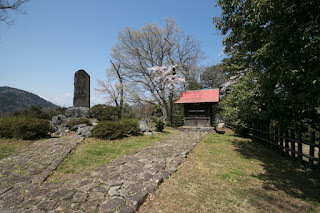 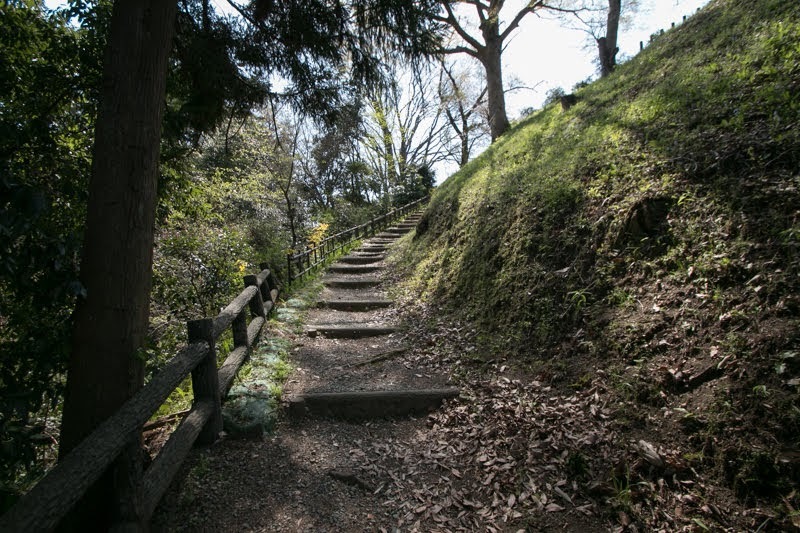 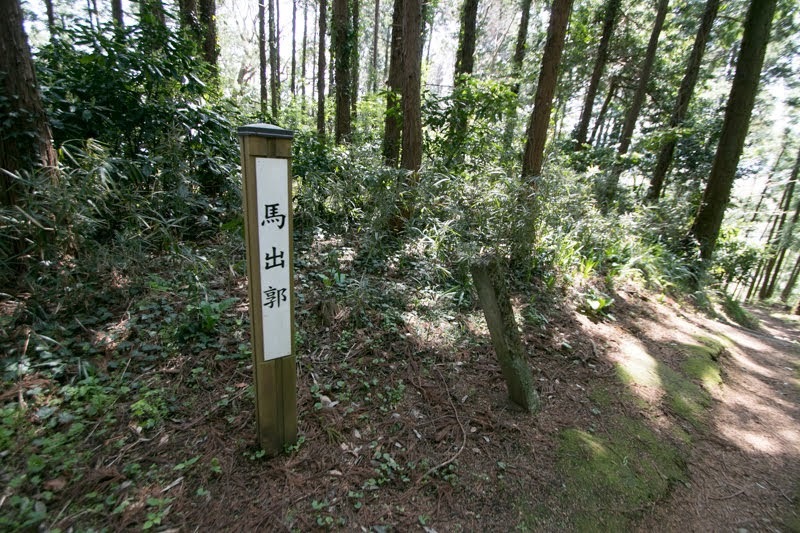 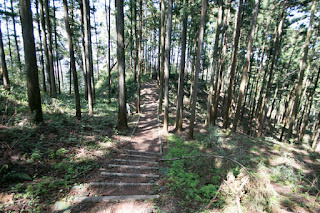 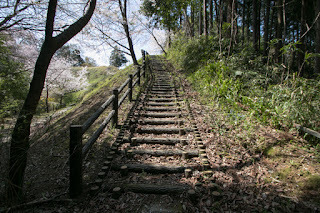 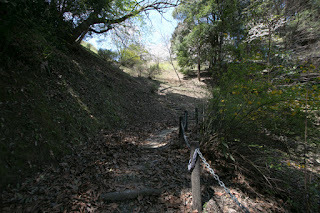 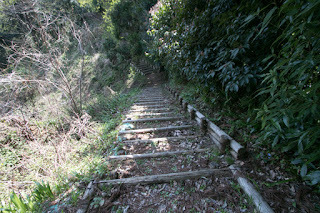 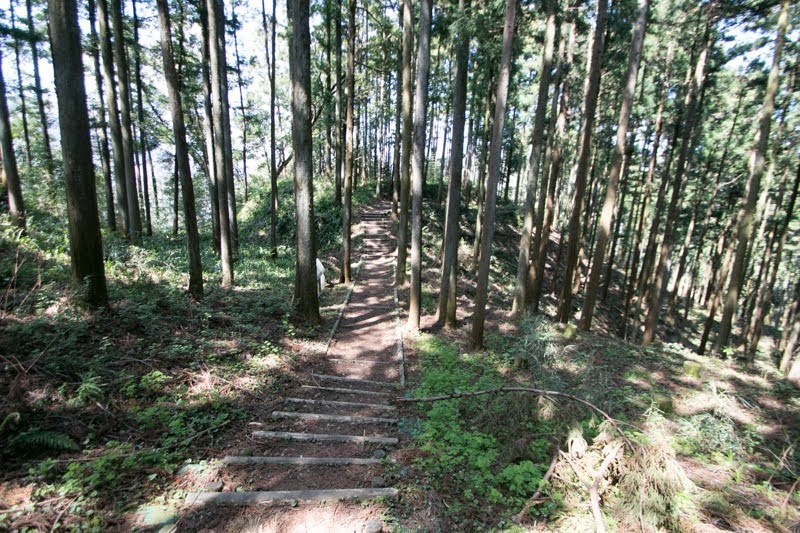 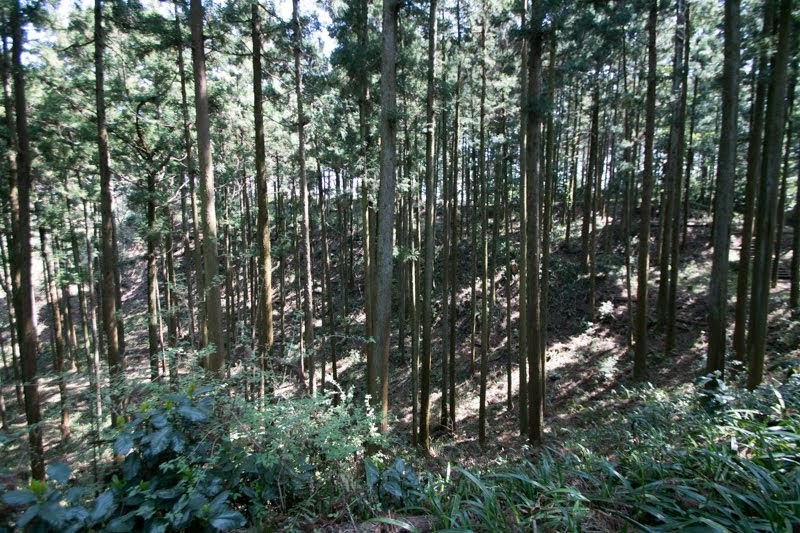 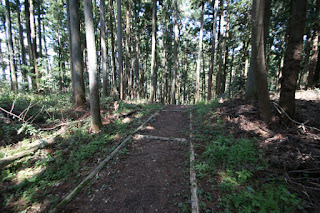 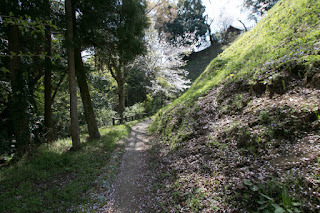 It had to climb tough slopes but the distance was the shortest thus it became the main route of Tokaido road in Edo era. 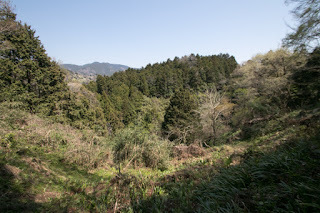 The second road is Ashigara toge pass, which runs northward along with the outer rim for its half circle and climb to Ashigara Toge pass, about 200 meter lower from Hakone Toge pass the goes down with Kari-gawa river. 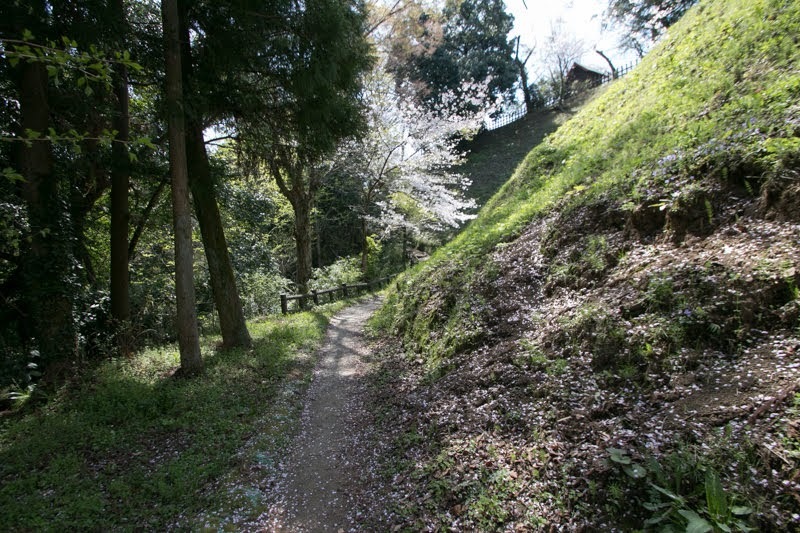 Although it takes distance but the road was generally gentle thus it worked as a main route of Tokaido road by medieval era. 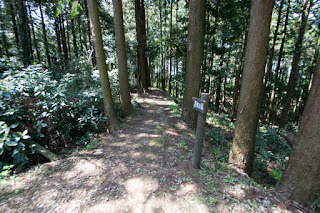 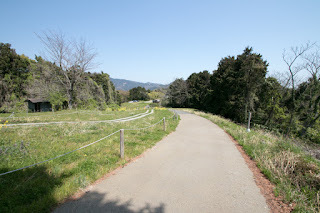 At last, there is a valley route which runs along with Sakawa-gawa river and does not climb to Hakone mountains. 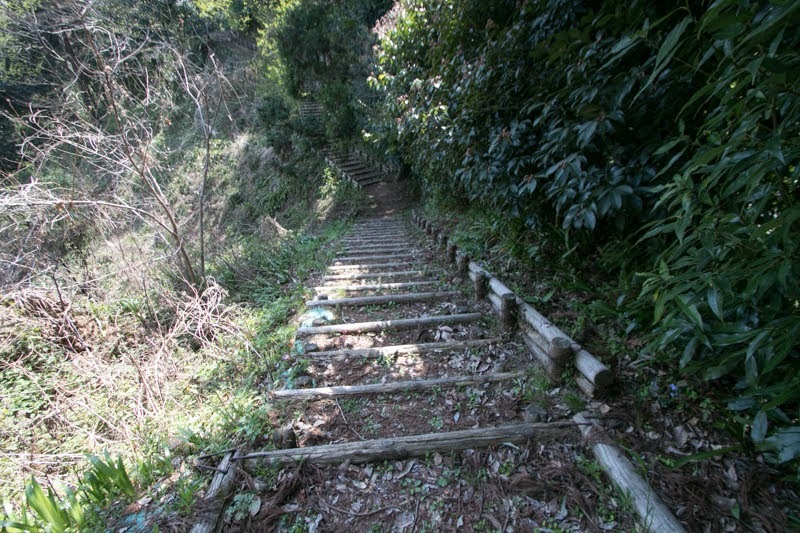 It had to walk narrow valley over 5 kilometer and might be troubled at heavy rains, but it is a great advantage not to climb any mountains. 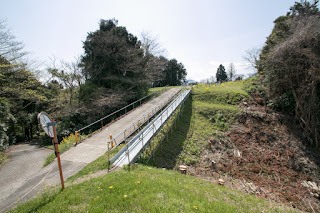 Modern transportation which is less affected by weather but quite weak to slopes all use this river-side route. 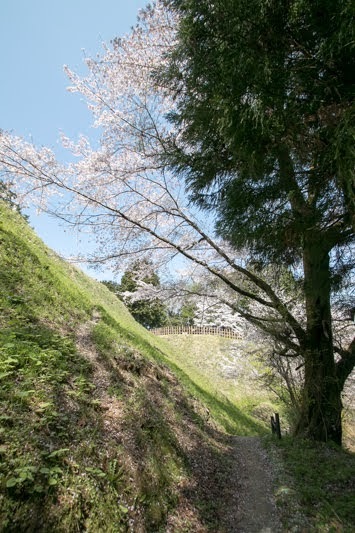 Kawamura castle stands just at the western mouth of this valley route, as if a stopper of narrow neck bottle. 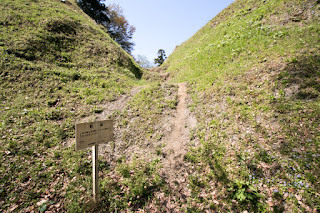 In addition to this geographic condition, being protected its western and southern line by curving Sakawa-gawa river, this castle was an best point to control the traffic of the narrow valley. 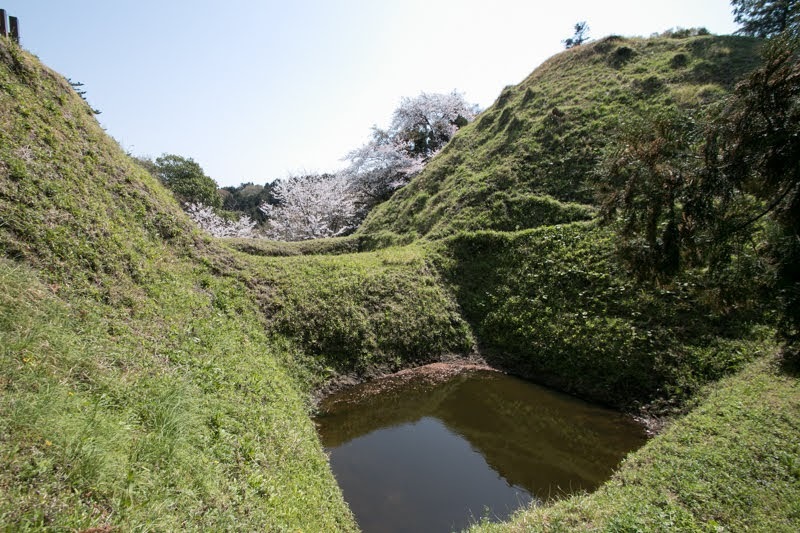 The origin of Kawamura castle is unknown but is said to be built in 12th century by local lord Kawamura clan. 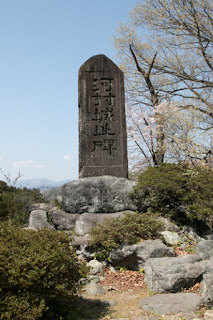 Kawamura clan was a descendent of Hidesato Fujiwara (?-? 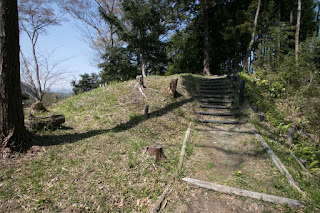 ), an ancient military noble which became an ancestor of many famous clans. 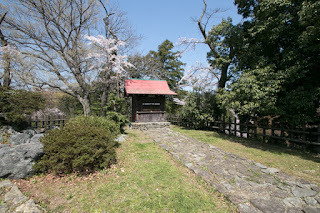 At the establishment of Kamakura Shogunate Kawamura clan once opposed to Yoritomo Minamoto (1147-1199), but later was forgiven and became the retainer of Shogunate. 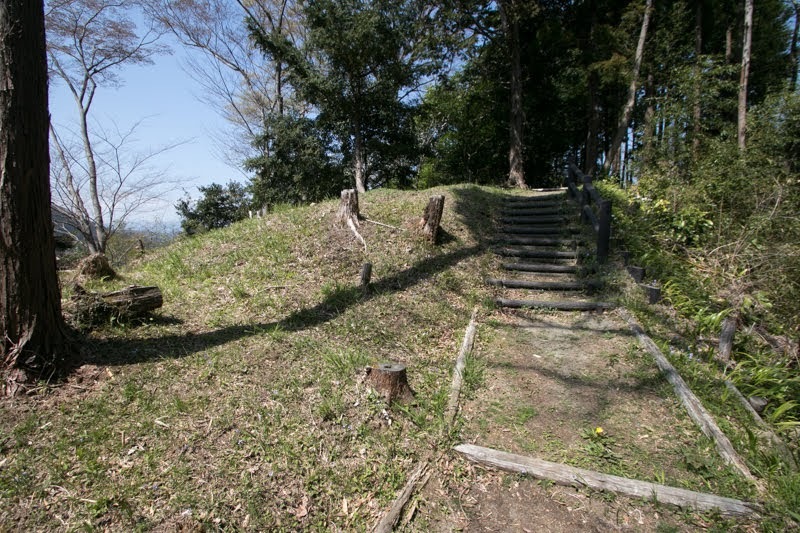 Later Kawamura clan achieved their territory in Moniwa area of current Sendai city region and Nariwa area Chugoku region as a reward of their activity, and built Kakusyu castle at their Nariwa territory. But main family of Kawamura clan stayed at Kawamura castle by the end of Kamakura era. After the fall of Kamakura Shogunate, among the conflict of Emperor Godaigo (1288-1339), and Takauji Ashikaga (1305-1358), Kawamura clan belonged to Emperor side then fought against Ashikaga army at Kawamura castle along with Yoshioki Nitta (1331-1358), the son of Yoshisada Nitta (1300-1338) who was the major general of Emperor's army. Yoshioki Nitta once captured Kamakura city but was defeated by Ashikaga army then ran into Kawamura castle. 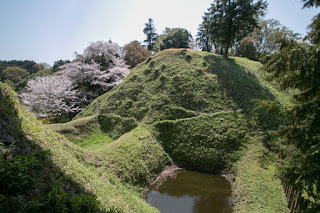 Kawamura castle stood against overwhelming Ashikaga army but then finally fell, then the name of Kawamura clan disappeared from the history. 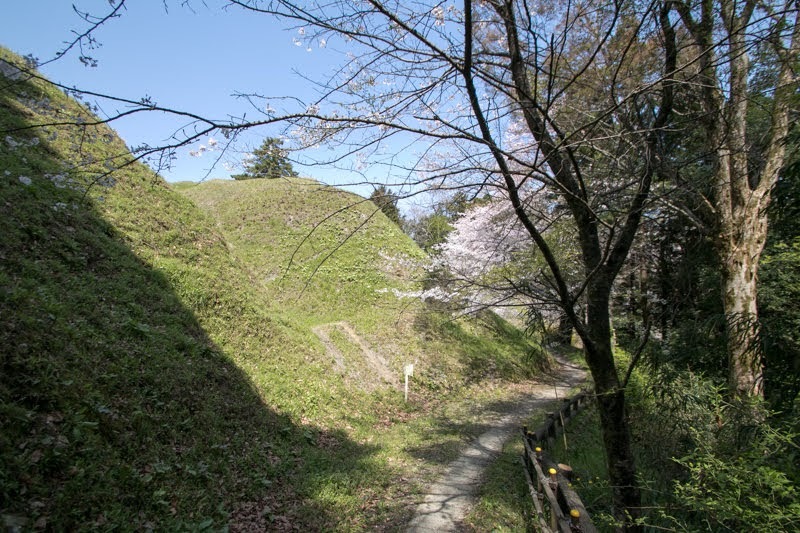 After the change of holders, Kawamura castle was captured by Hojo clan, the warlord of Odawara castle (Kanagawa prefecture), by the end of 15th century. 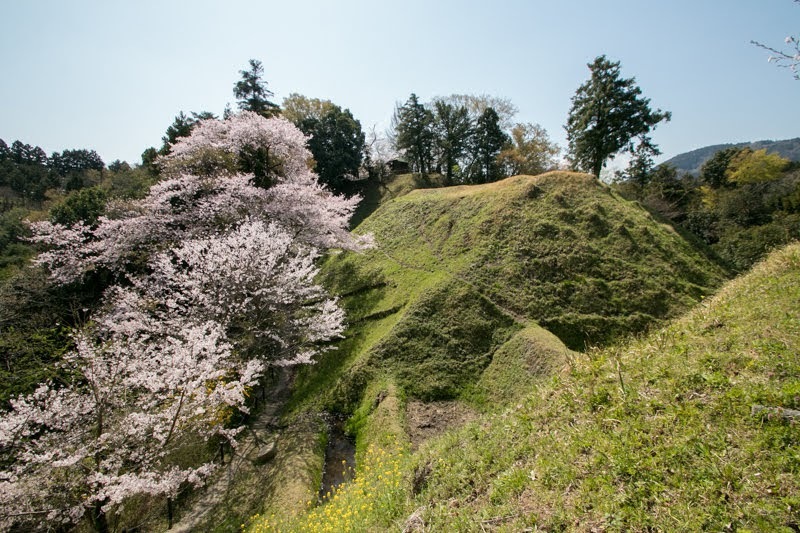 Odawara castle, the main base of Hojo clan, was a natural fortress protected by mountains and rivers, but existed at the western edge of Sagami province (Kanagawa prefecture). 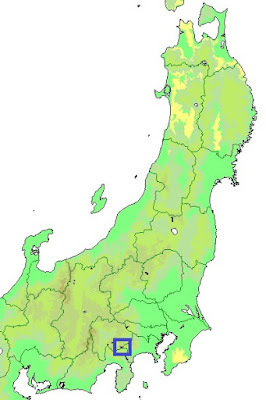 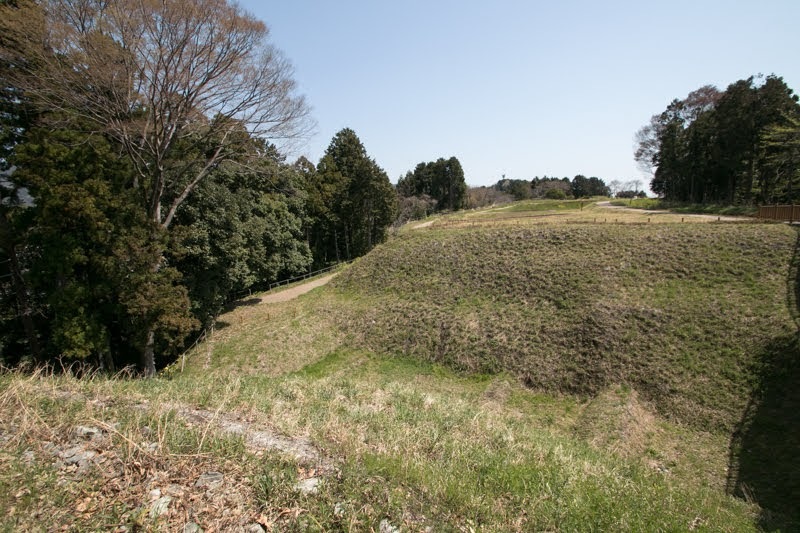 In the former half of 16th century Hojo clan significantly expanded their territory toward the center of Kanto region, but did not move their main base. 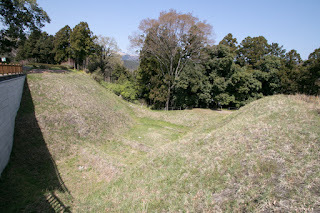 At first Hojo clan made triangle treaty with neighbor warlords such as Takeda clan at Kai province (Yamanashi prefecture) or Imagawa clan at Suruga province (middle part of Shizuoka prefecture), this closeness of Odawara castle to the border became not a serious problem. But in 1568, Takeda clan broke the treaty and intruded into weakened Imagawa clan. Hojo clan supported Imagawa clan and once captured the border area, but was broken at Kanbara castle or Fukasawa castle then lost the territory of Suruga province. 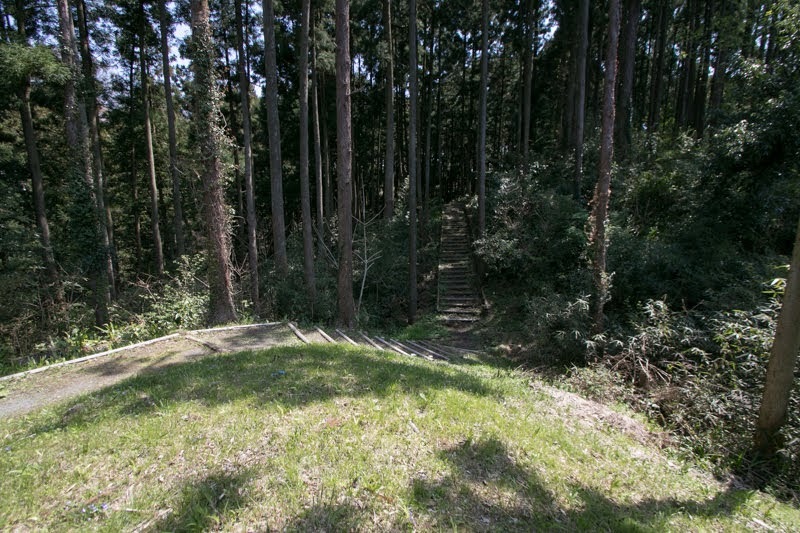 Later Hojo clan and Takeda clan agreed but potential danger still remained. 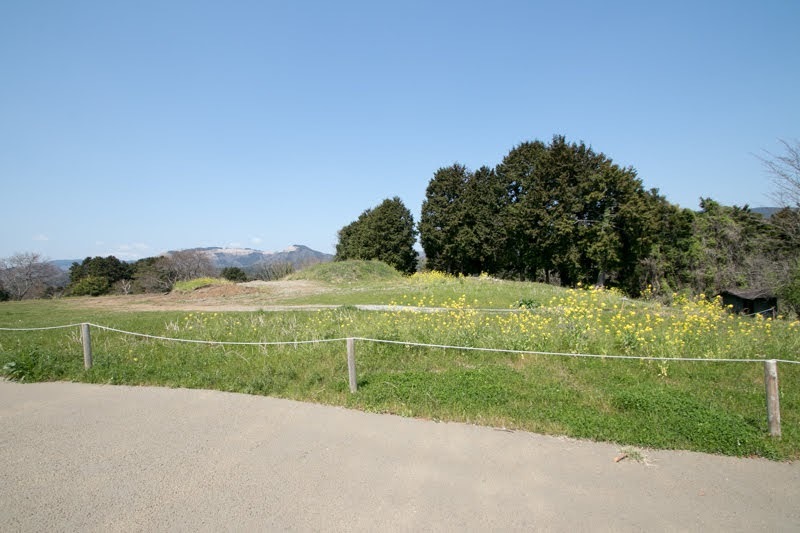 Furthermore, when Takada clan was ruined by central ruler Nobunaga Oda (1534-1582) in 1582, Hojo clan had to face directly against Nobunaga and his ally Ieyasu Tokugawa (1543-1616) at the western border. After the death of Nobunaga, Hojo clan once allied with Ieyasu Tokugawa who held both of Suruga province and Kai province. 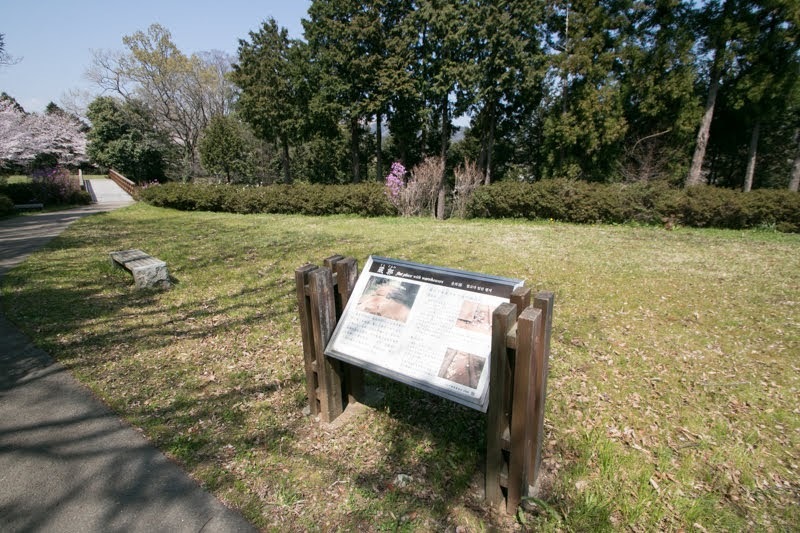 but Ieyasu already subordinated to central ruler to Hideyoshi Toyotomi (1537-1598). 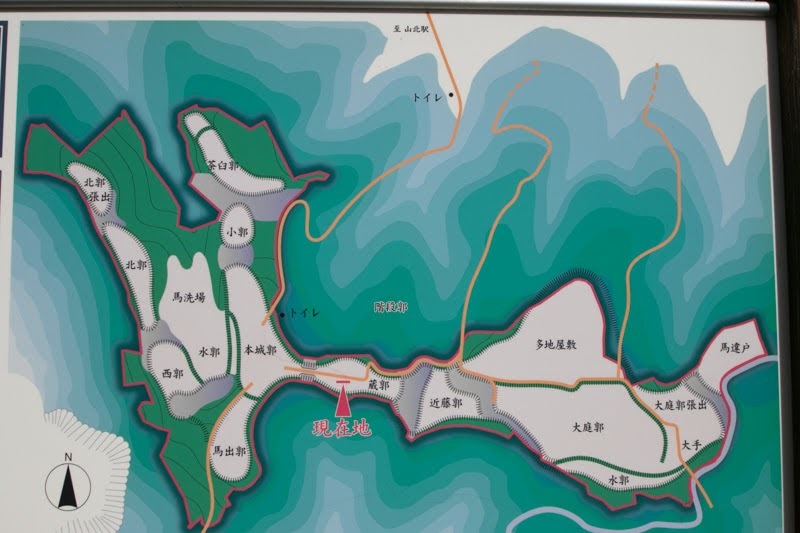 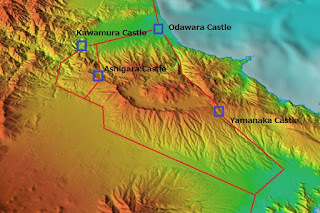 Hojo clan still aimed at an independent power of Kanto region expected the upcoming battle with Hideyoshi, and strengthened border castles such as Yamanaka castle at Hakone toge pass, Ashigara castle at Ashigara toge pass, or Matsuida castle at Usui toge pass. 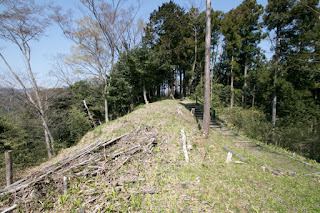 At the Hakone area Hojo clan expected Yamanaka castle at the shortest way was an expected front and thoroughly renovated the castle into clay fortress to intercept Toyotomi army. 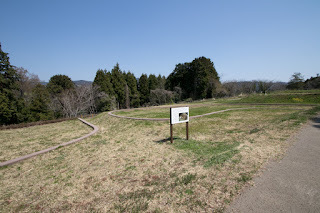 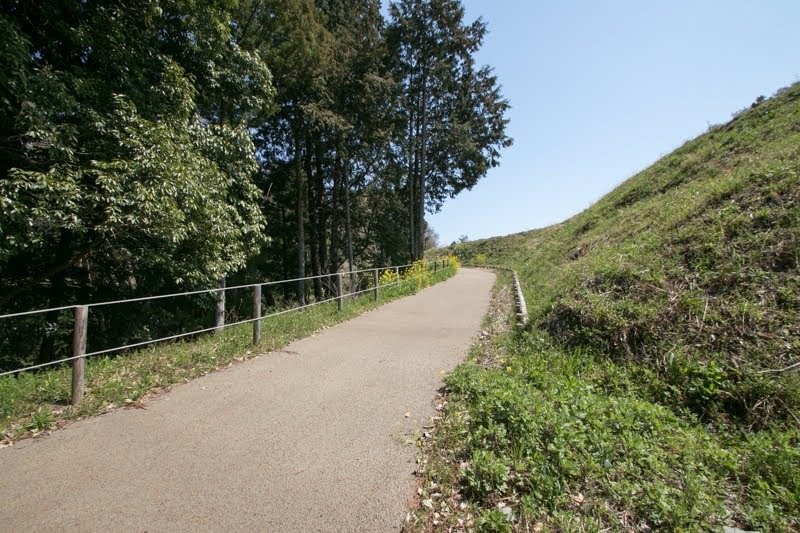 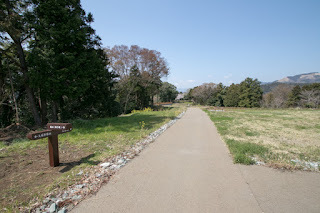 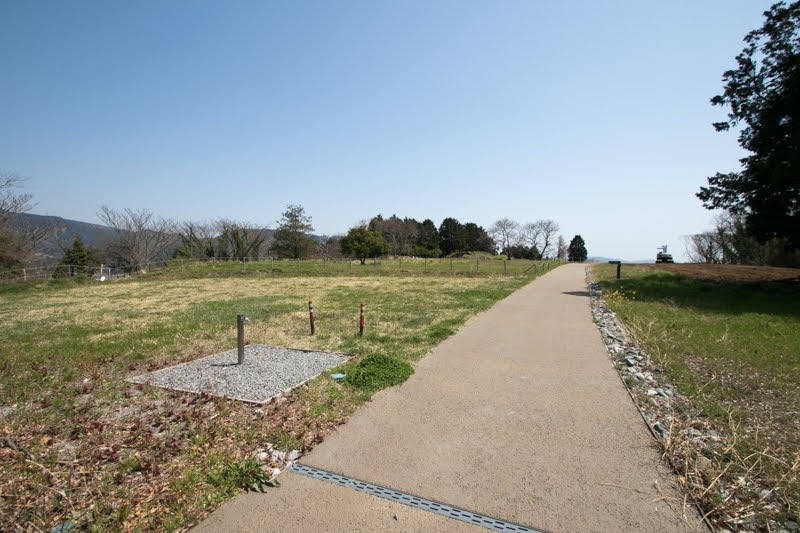 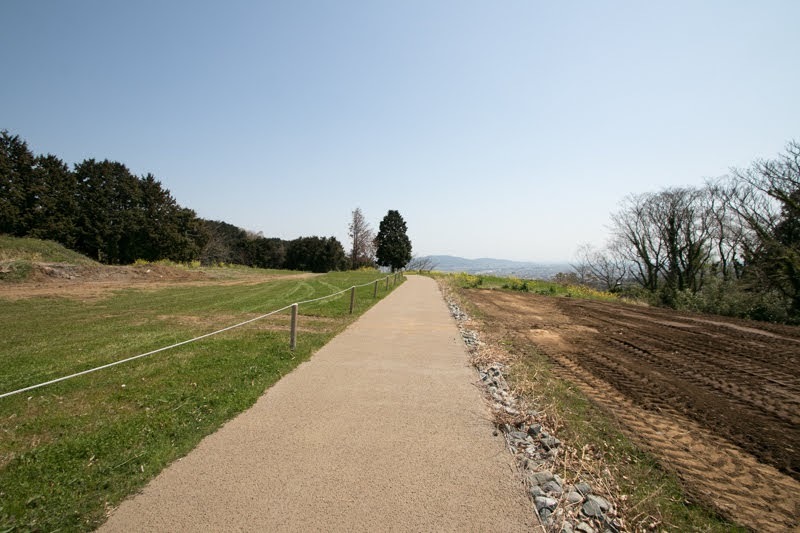 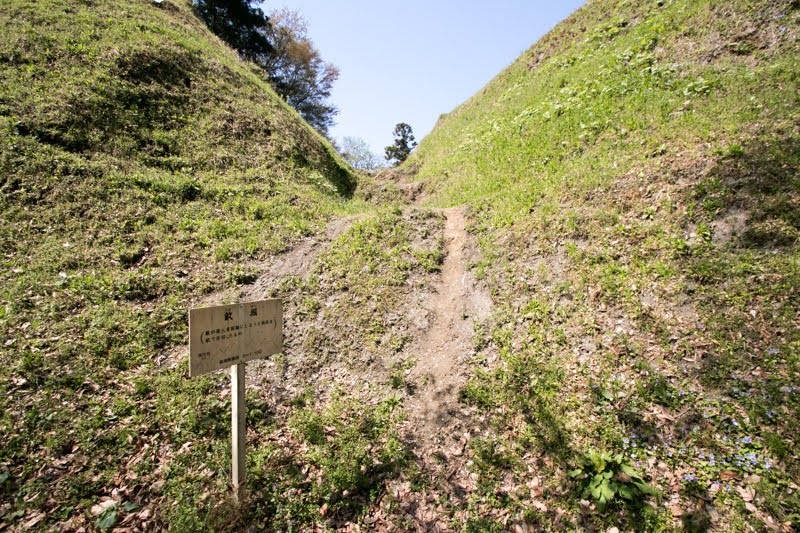 But to concentrate Toyotomi army to Yamanaka castle, remaining two roads also had to be securely closed. 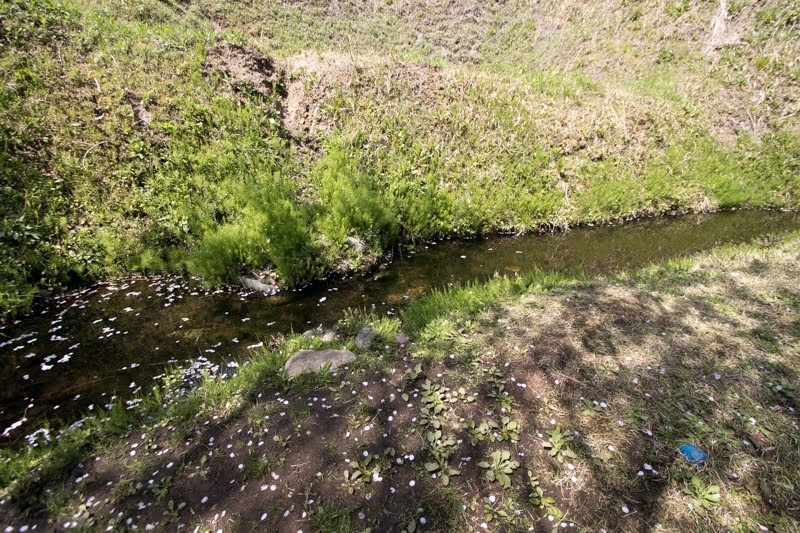 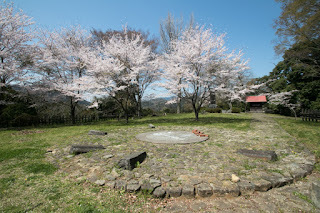 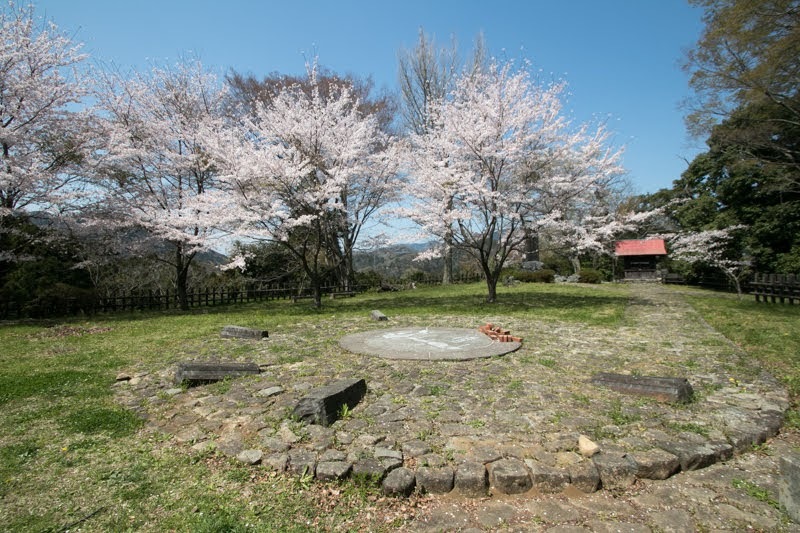 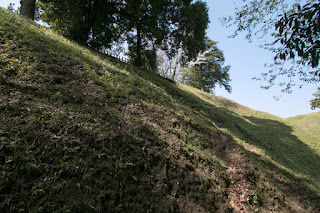 Especially Kawamura castle might be used as a road of detached army from Kai province. 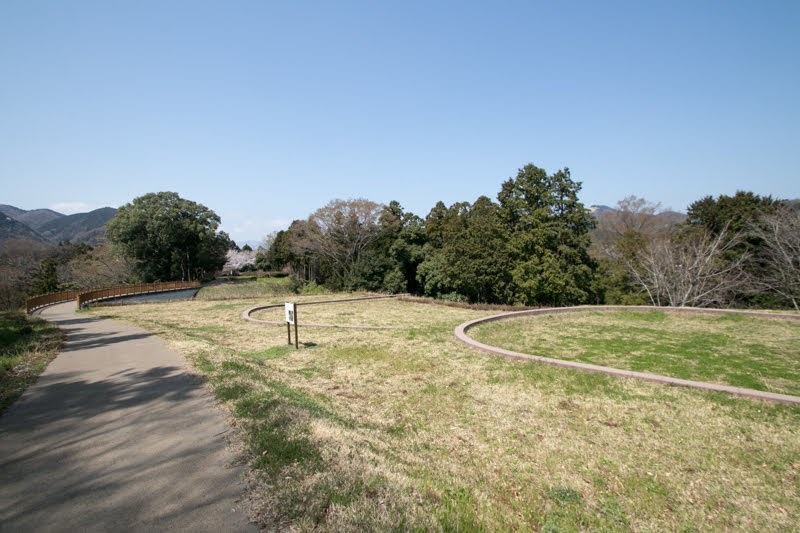 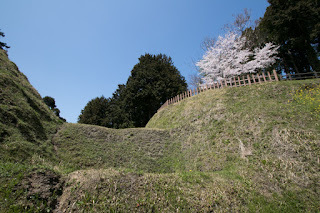 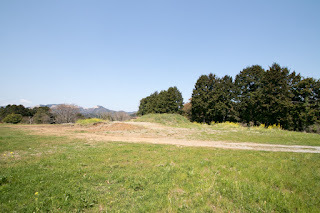 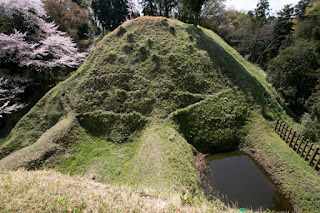 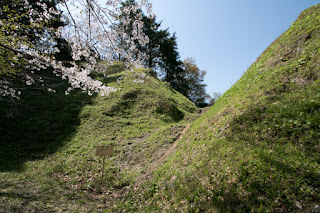 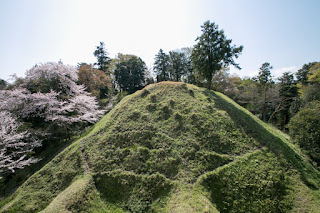 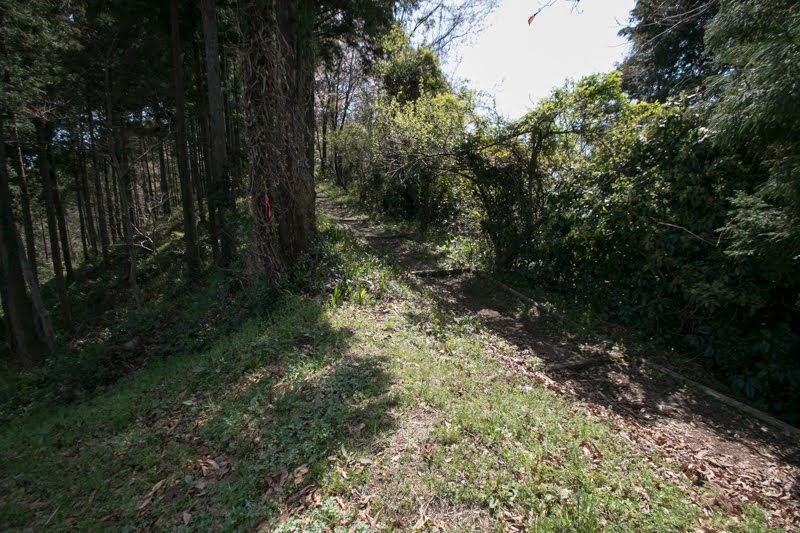 Furthermore, once Kawamura castle was lost, a detour army could pass the valley and attack Odawara castle from backside or separated Odawara castle and Yamanaka castle. 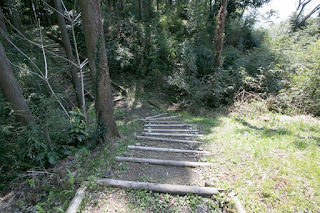 and this matter should be prevented. 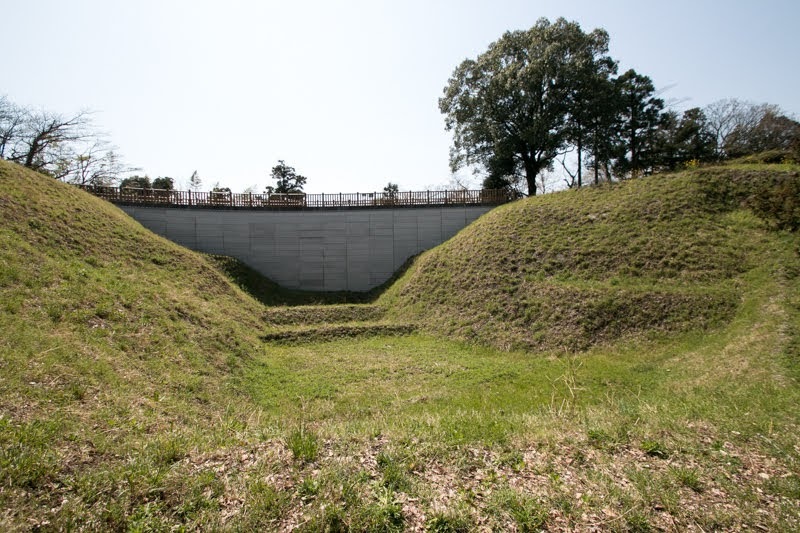 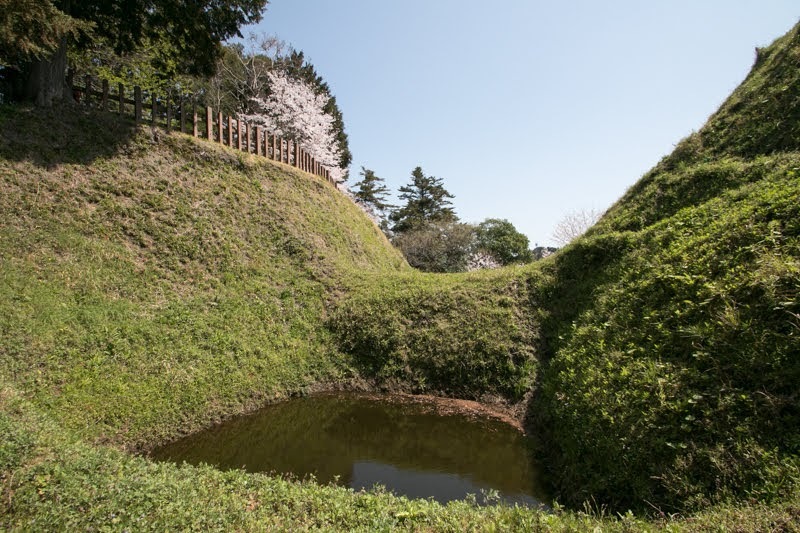 Hojo clan renovated Kawamura castle into a clay fortress with their latest technology. Kawamura castle is built at the western half of Shiroyama mountain, utilizing the ridge has several bottlenecks. 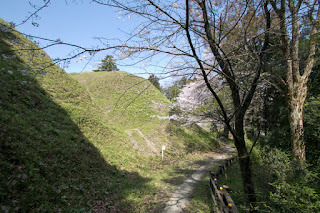 Central area of the castle is located at the western half of the castle spread toward north and southward, which still keeps the shape of original style consist of narrow areas. 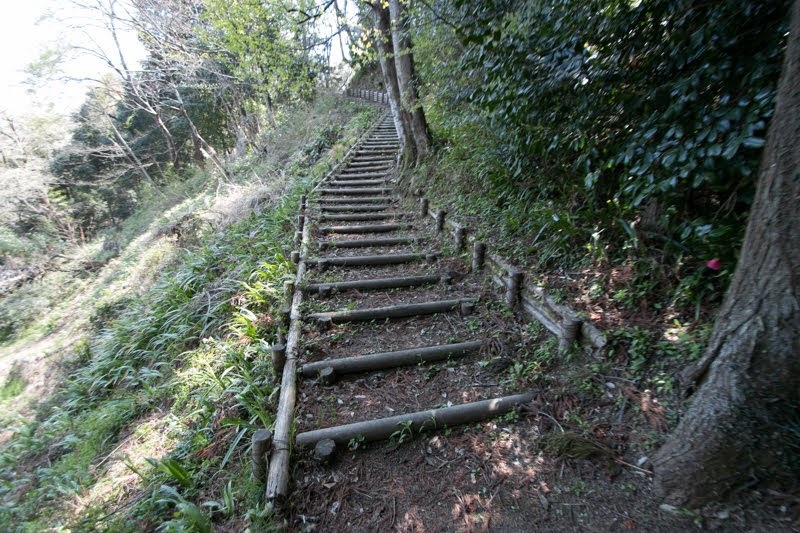 On the other hand. 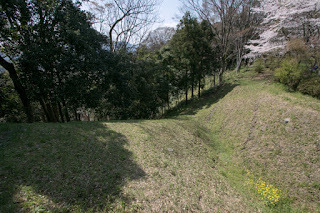 eastern half might be expanded later having wider terraces. 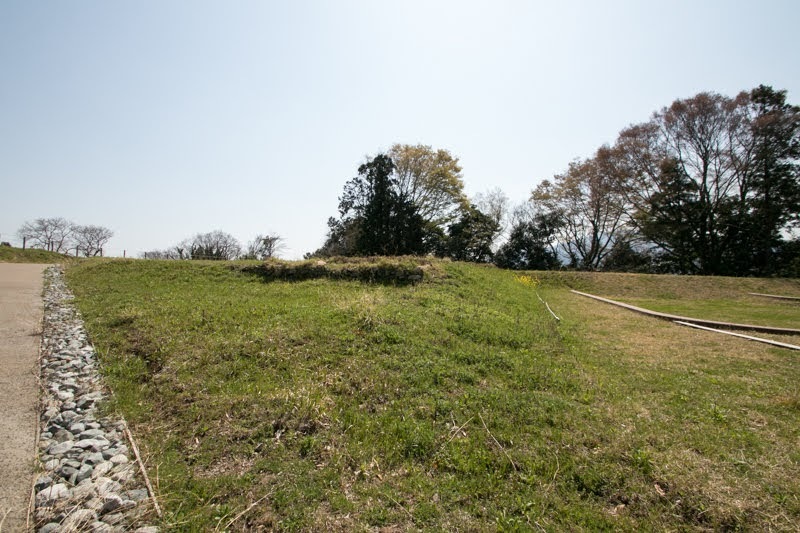 Central area of the castle is a ellipse area of 40 meter long and 10 meter wide, which as a basement of main building at its north half. 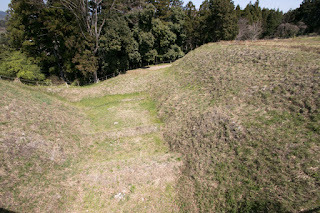 From central area two line of terraces are built toward north and northwest, separated by clay walls and dry moats. 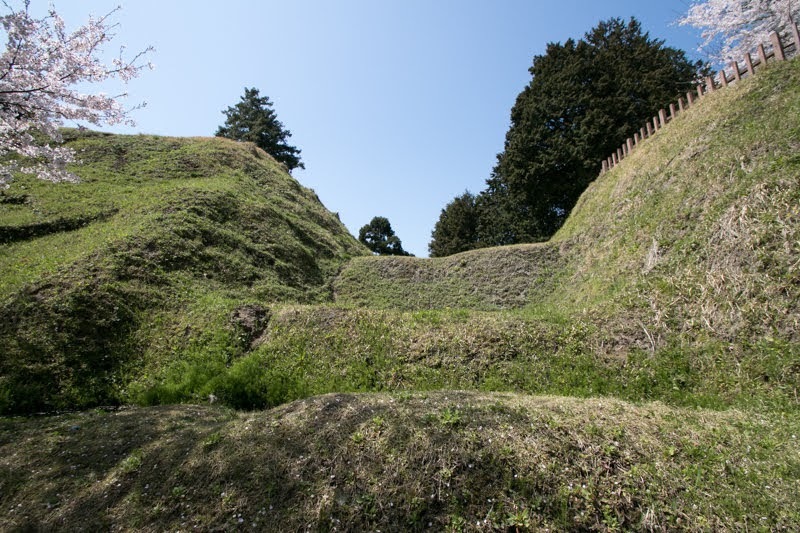 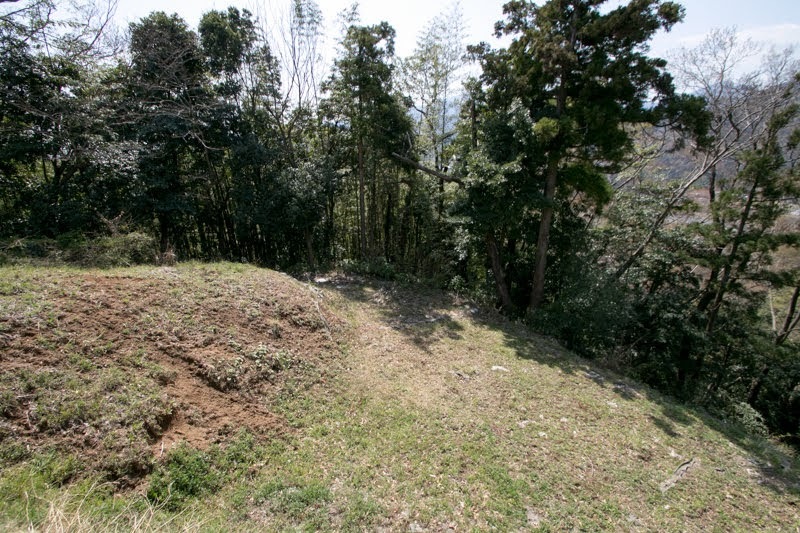 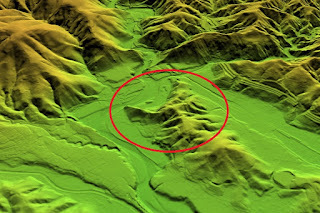 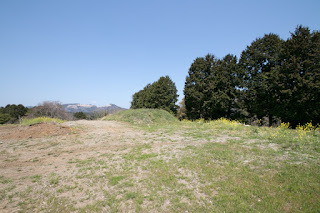 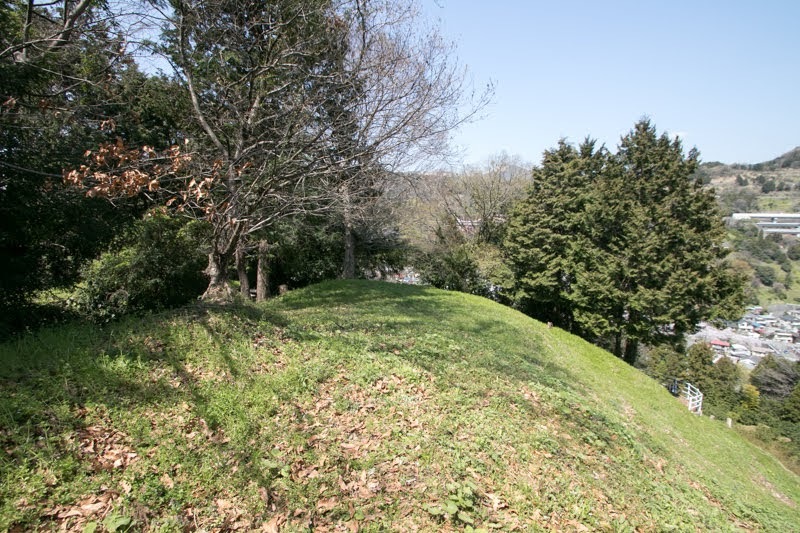 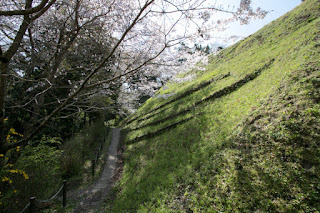 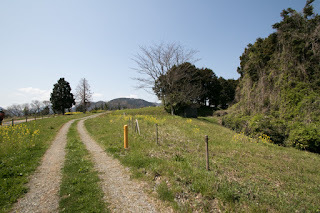 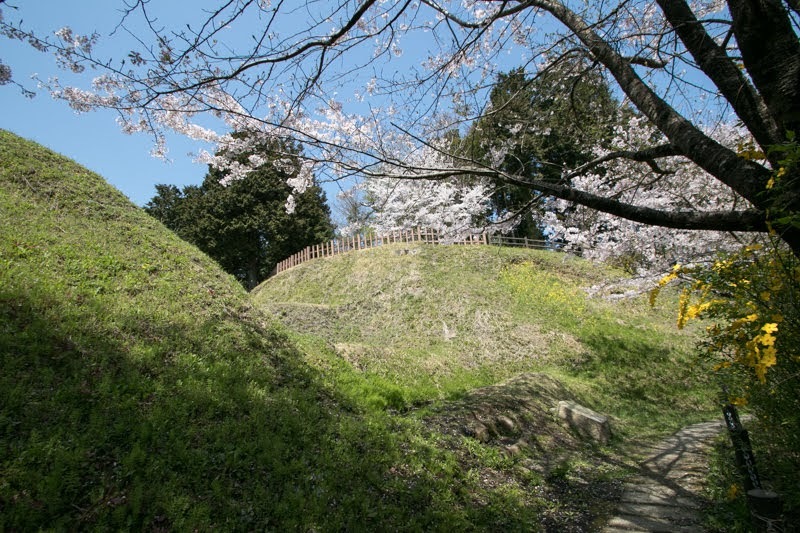 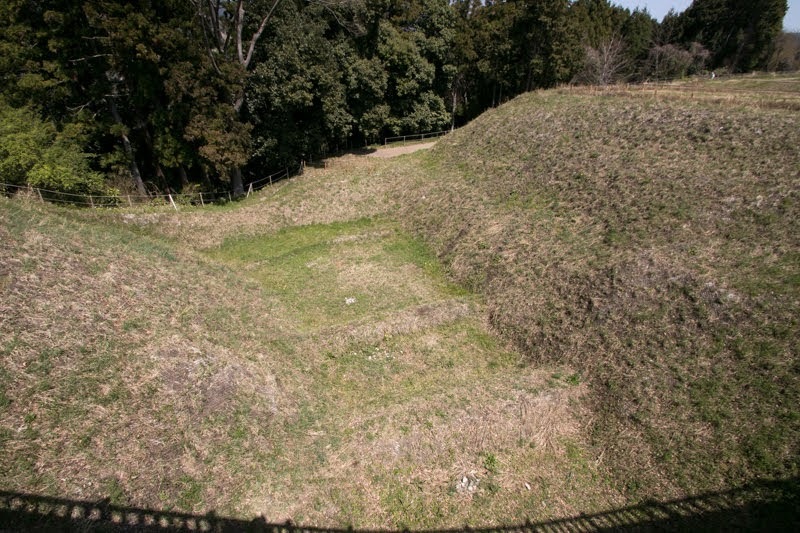 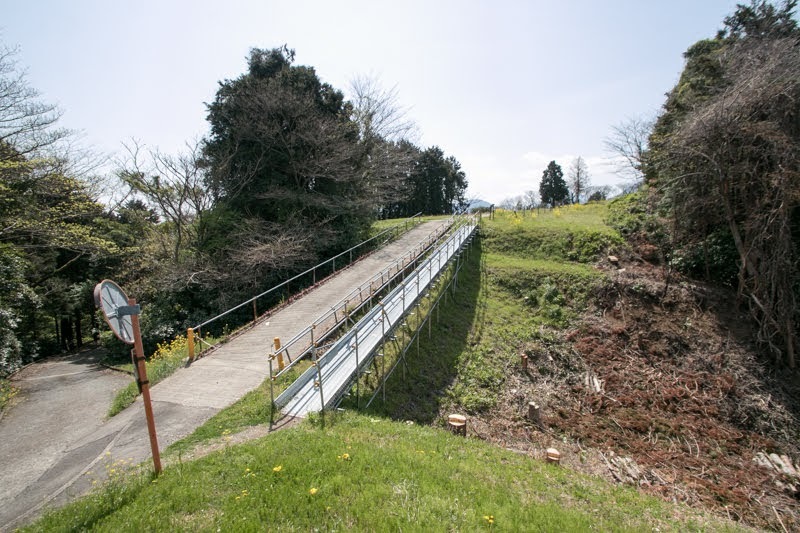 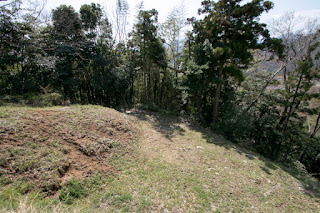 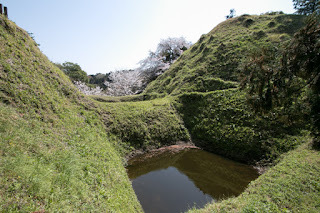 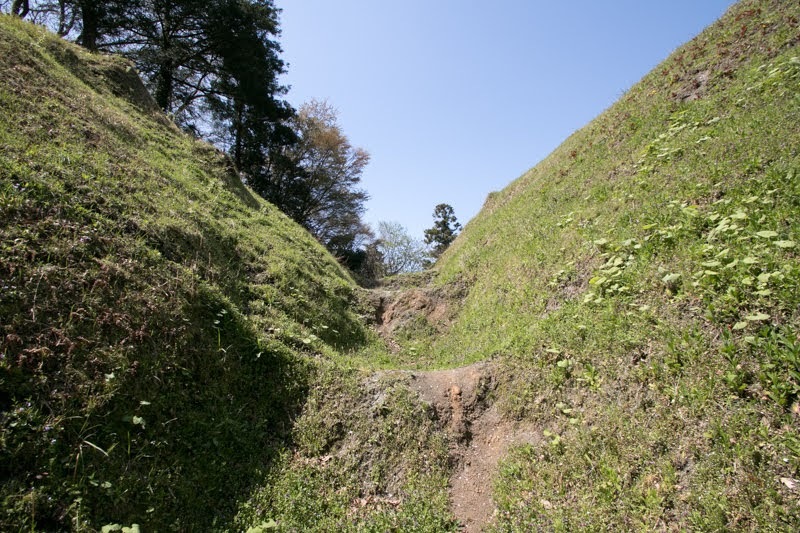 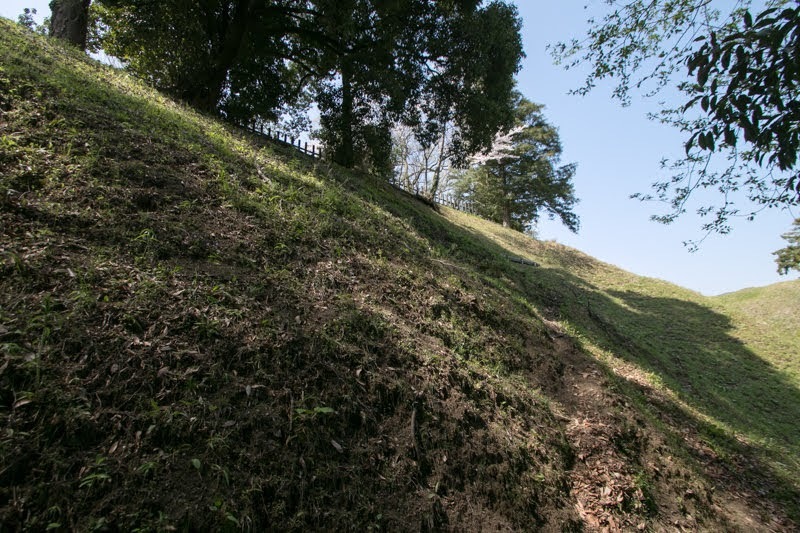 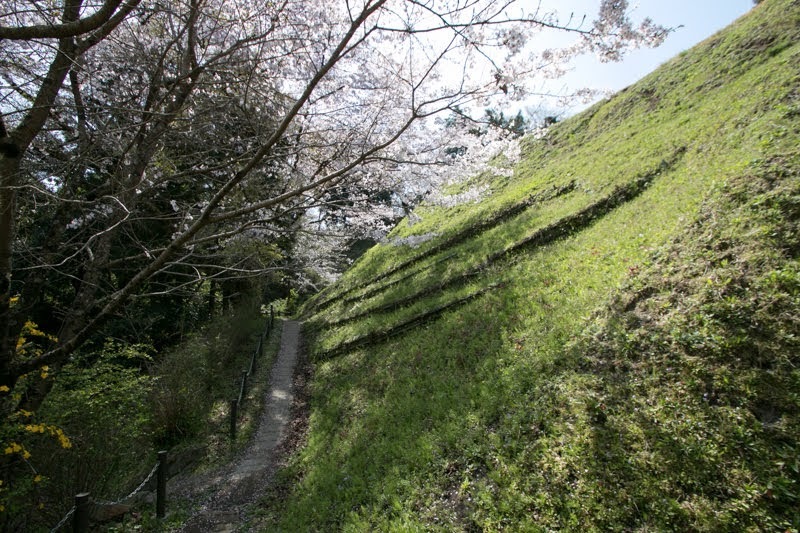 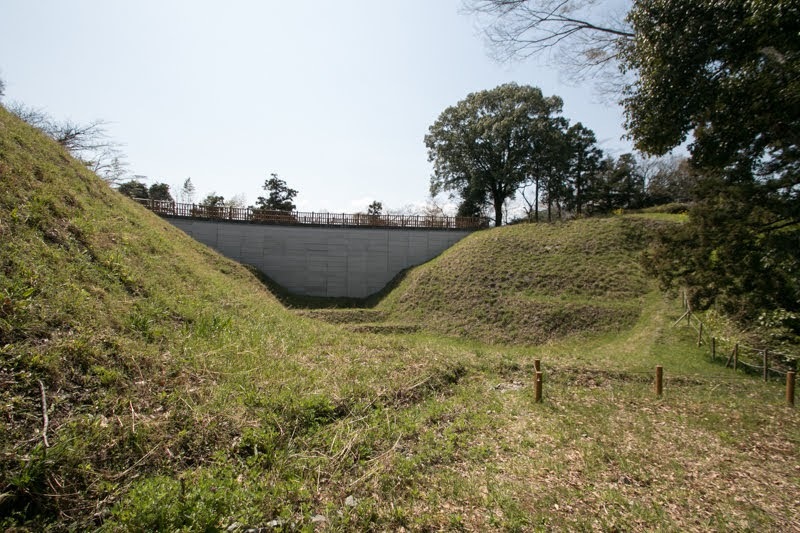 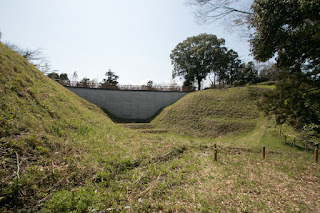 Especially north ridge is securely separated by dry moat with small compartment also seen at Yamanaka castle or Shimoda castle. 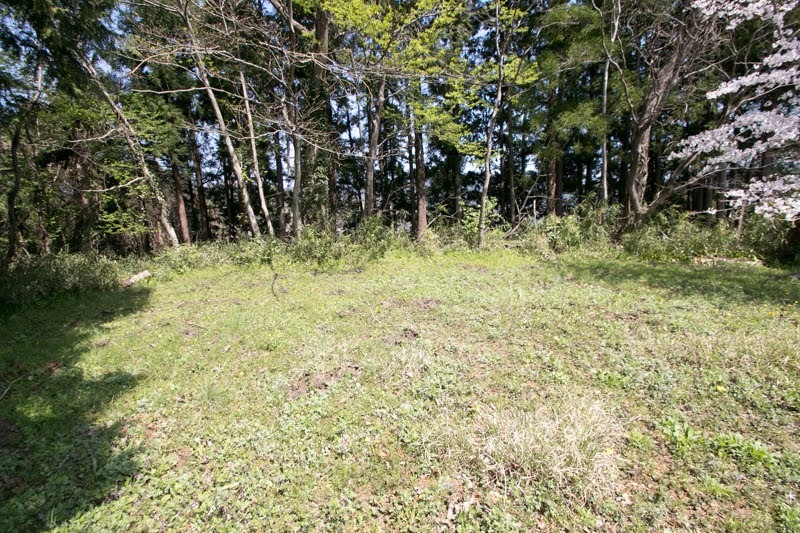 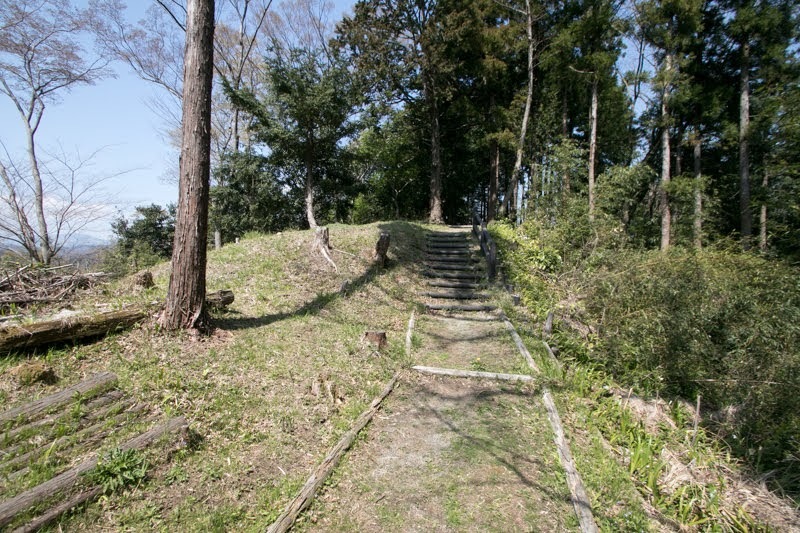 Eastern half of the castle consist of several large terraces such as Kondo area or Oba area, probably the name of resident. 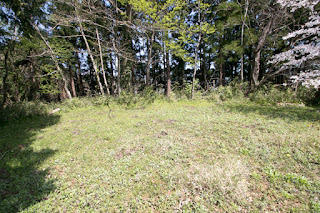 As this part might be a front line at the battle, each line of this area is protected by sheer walls. 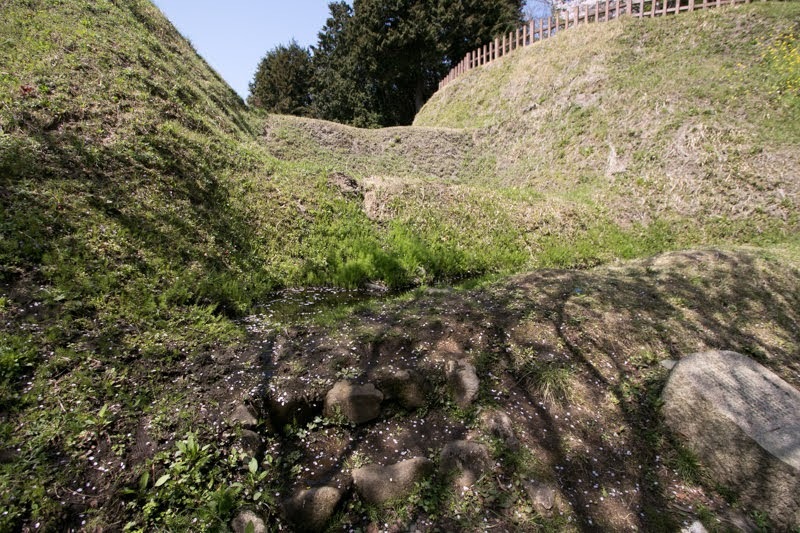 Eastern half and western half of the castle is also separated by deep dry moat with small compartment, to earn time even if a little. Total size of the castle is about 500 meter long and 300 meter wide, and is becoming to the one which guarded the road to Odawara castle. In 1590, Hideyoshi started Odawara campaign toward Hojo clan as expected, and over 100,000 soldiers gathered at Numazu area, the entrance into Numazu area. Along with Yamanaka castle and Ashigara castle, Kawamura castle might prepare the battle. 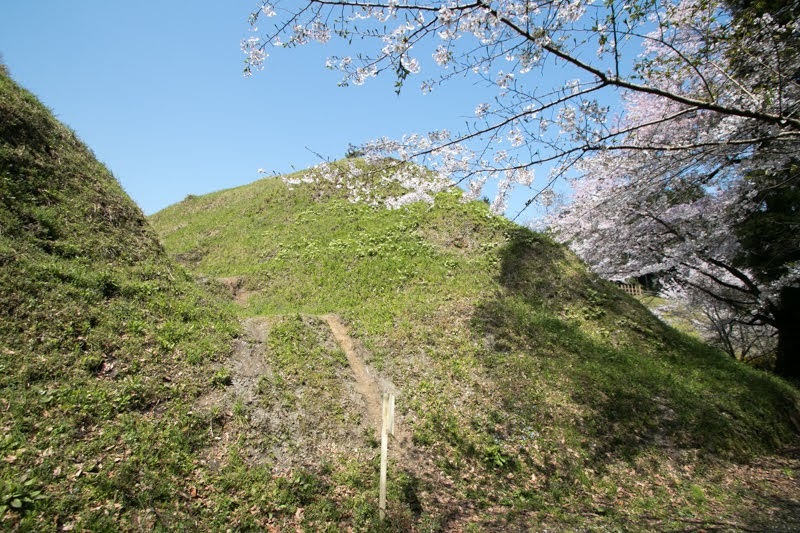 However, Toyotomi army made a forcible attack to Yamanaka castle and fell it in only one day. 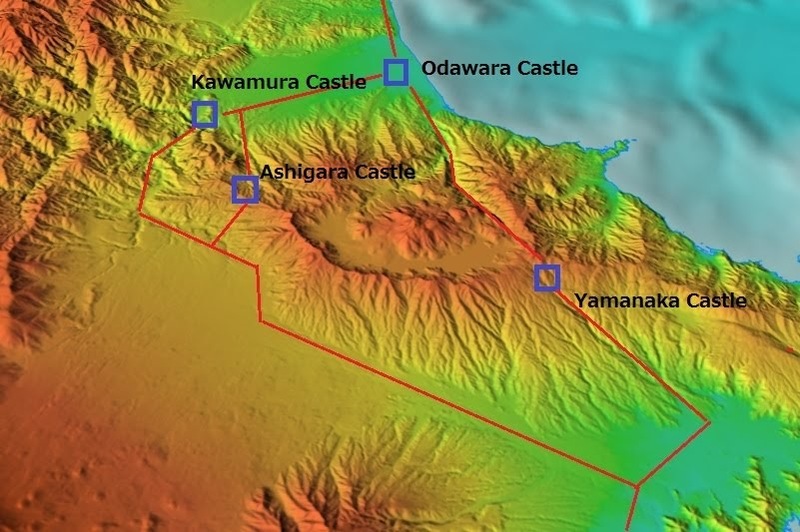 Hojo clan changed their tactics from intercept at Hakone area to besiege at Odawara castle, then Ashigara castle and Kawamura castle might be abandoned at this time. After four month siege Odawara castle fell, and Kawamura castle ended its role in the history along with Hojo clan. 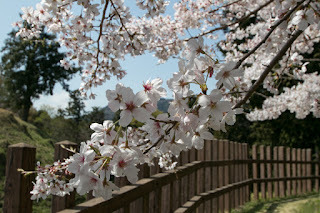 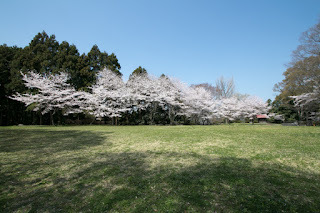 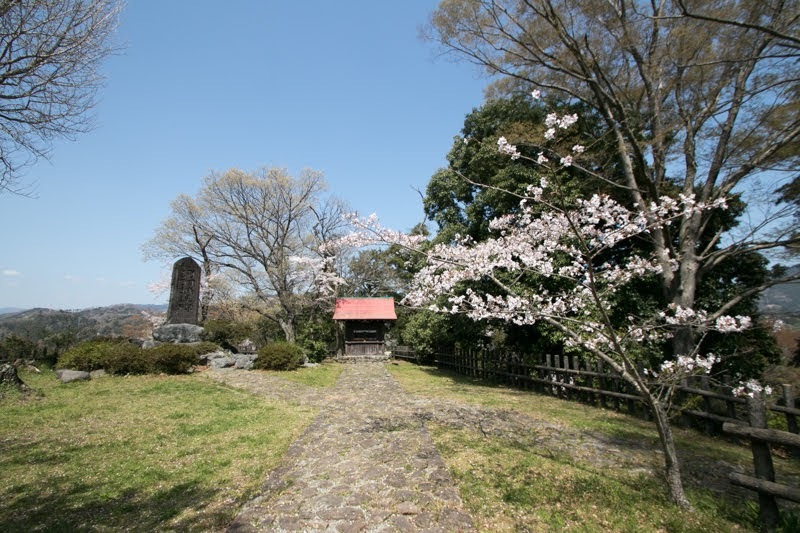 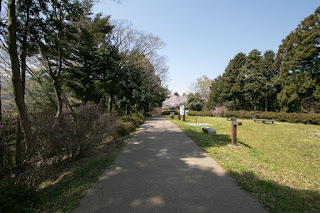 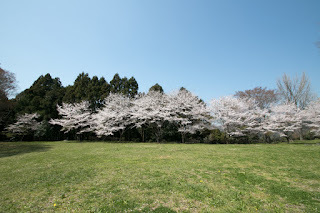 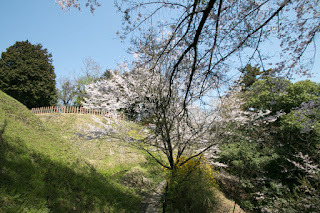 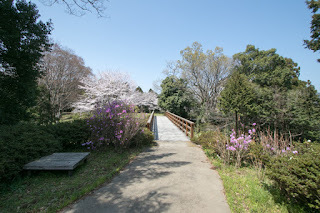 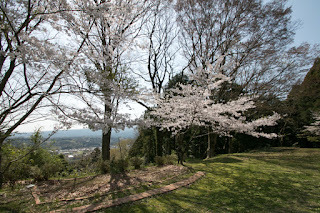 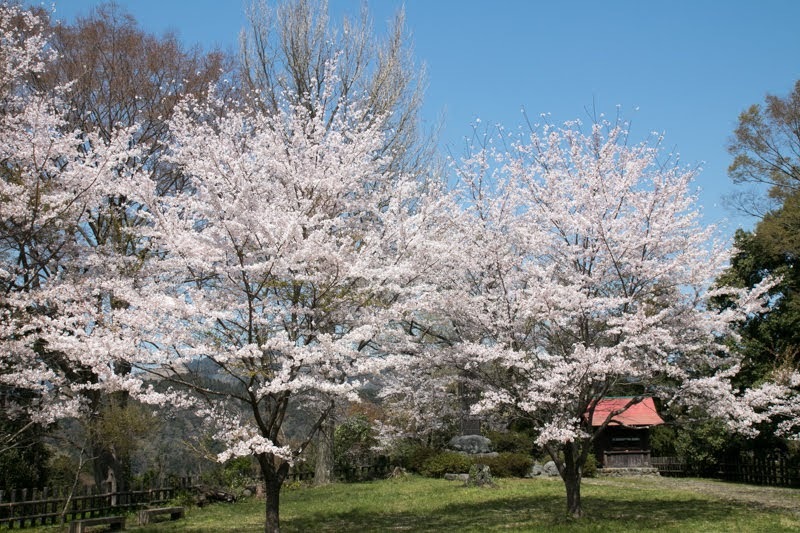 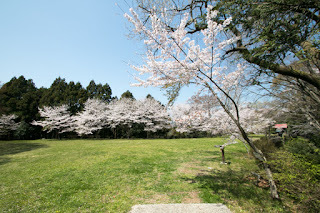 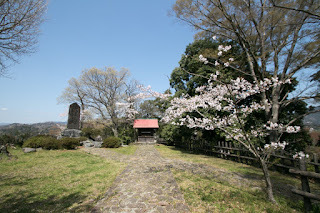 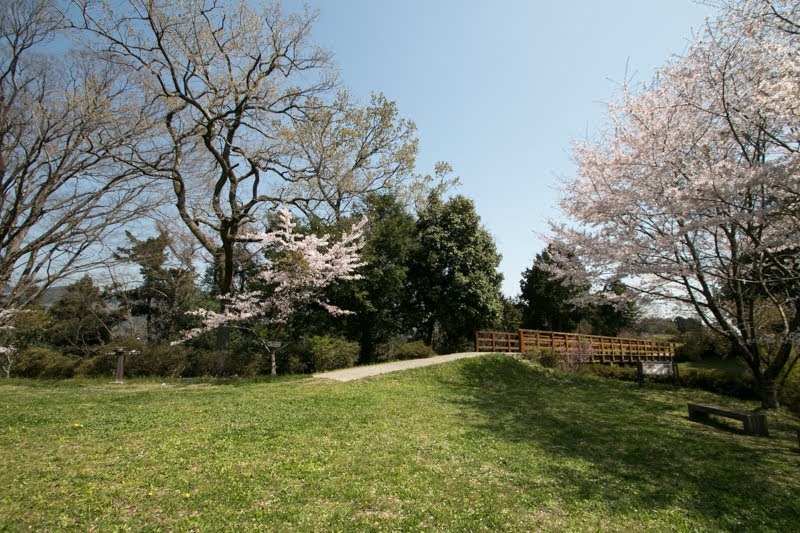 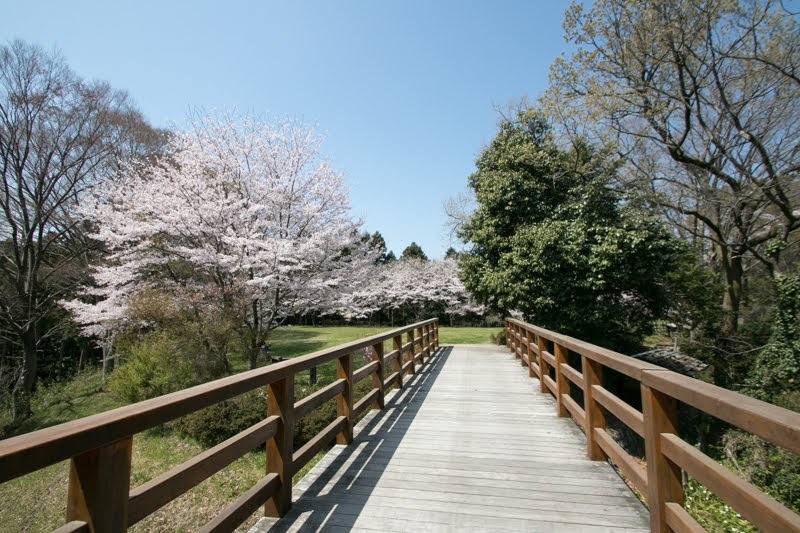 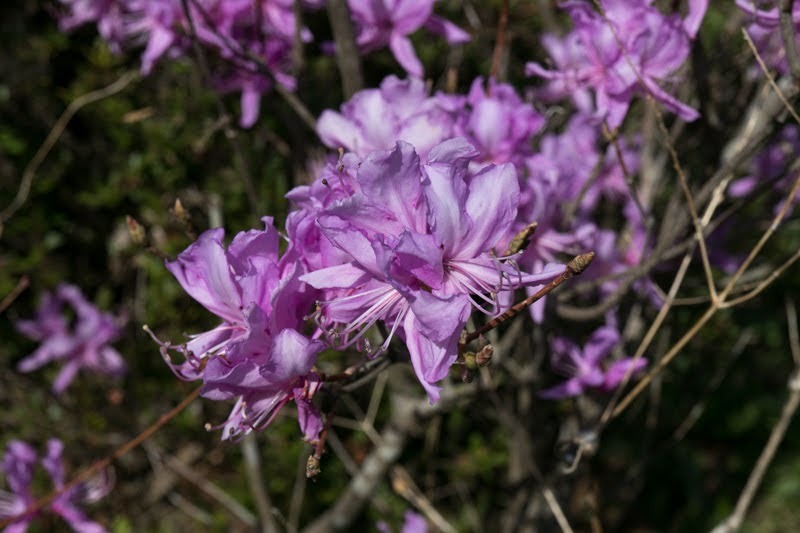 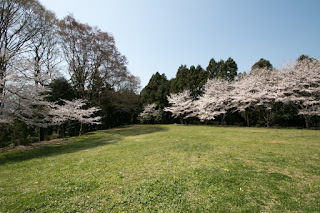 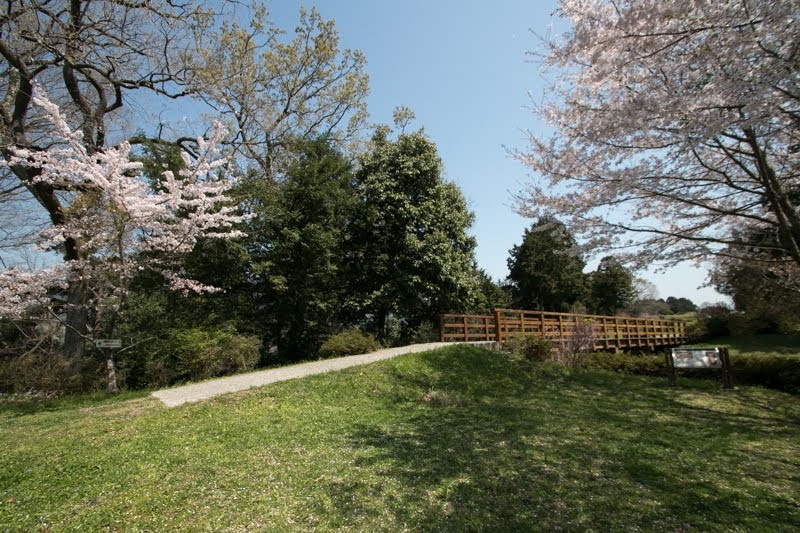 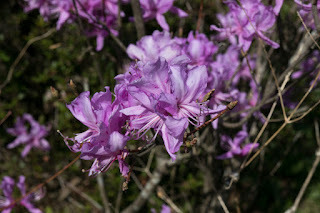 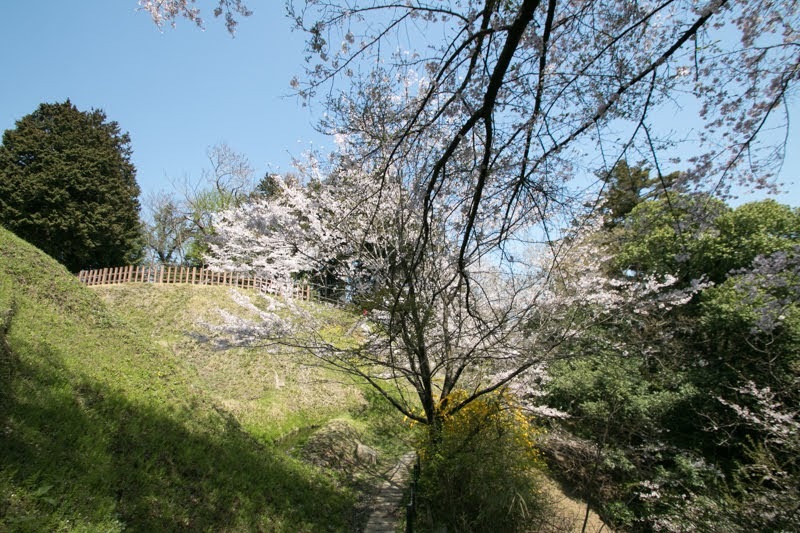 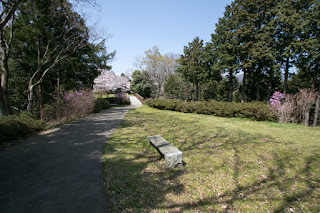 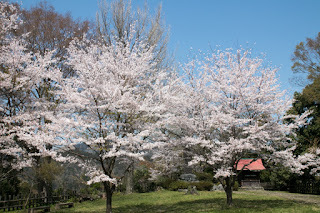 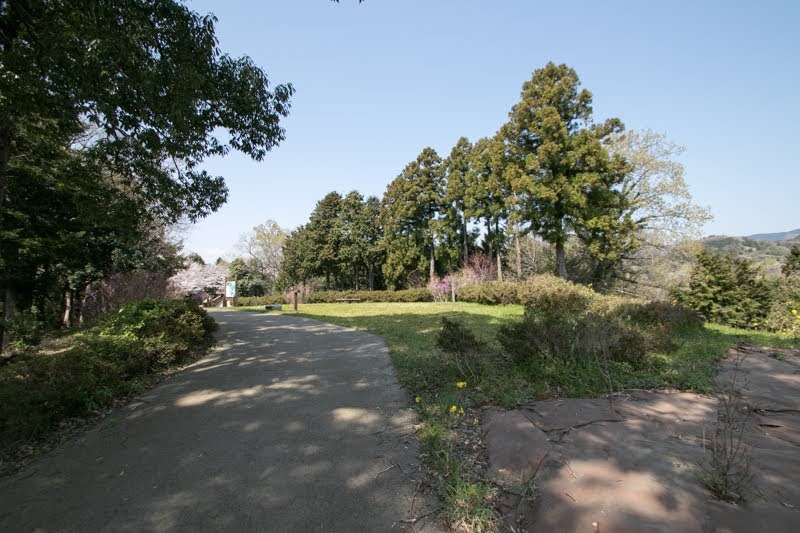 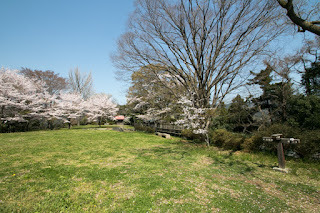 Now Kawamura castle becomes a park and well maintained with colorful flowers. 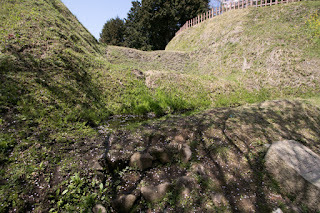 In spite of distractions, excavation reveals the old situation of the castle including the shape of the area or moat. 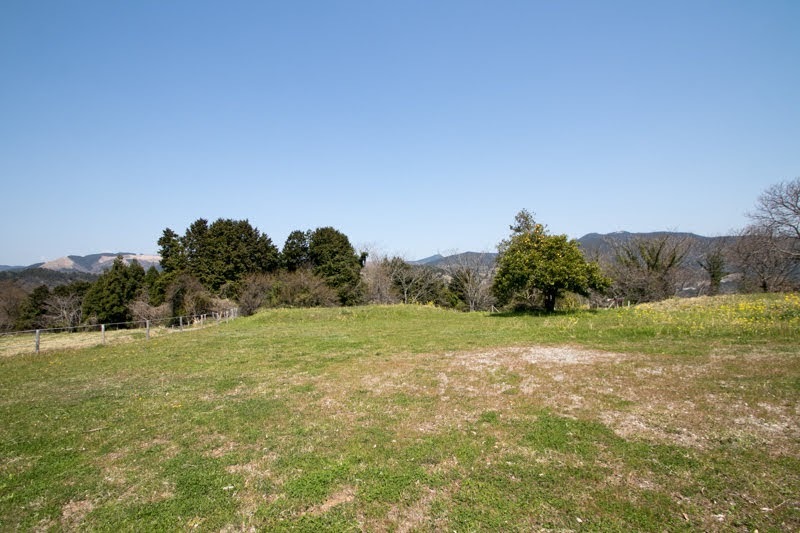 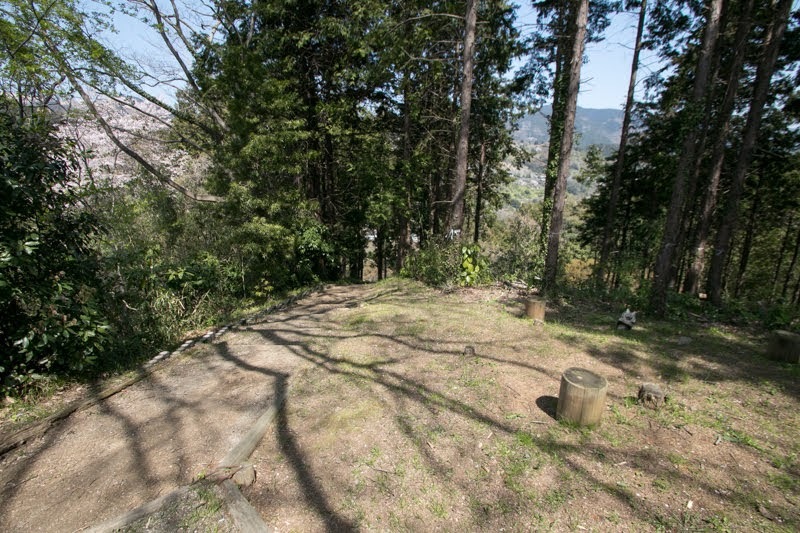 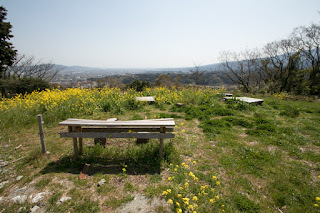 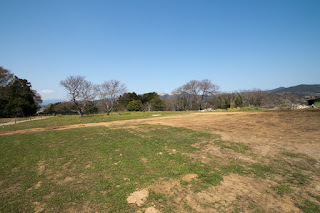 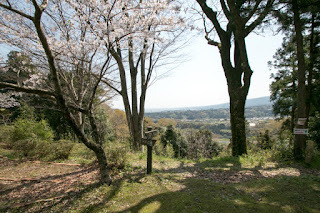 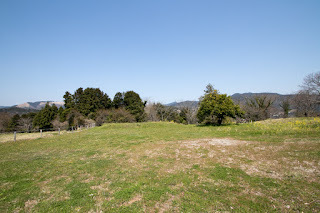 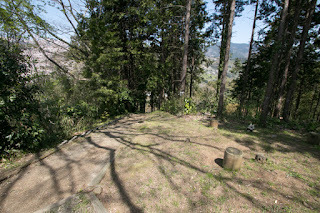 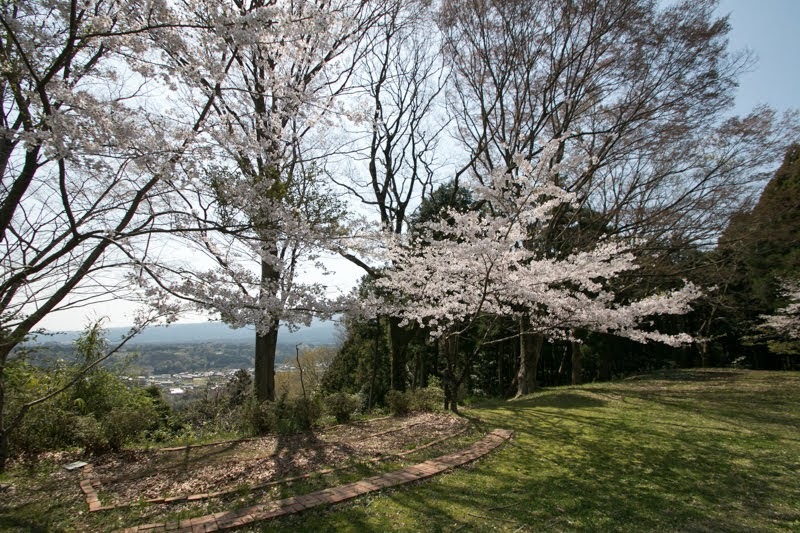 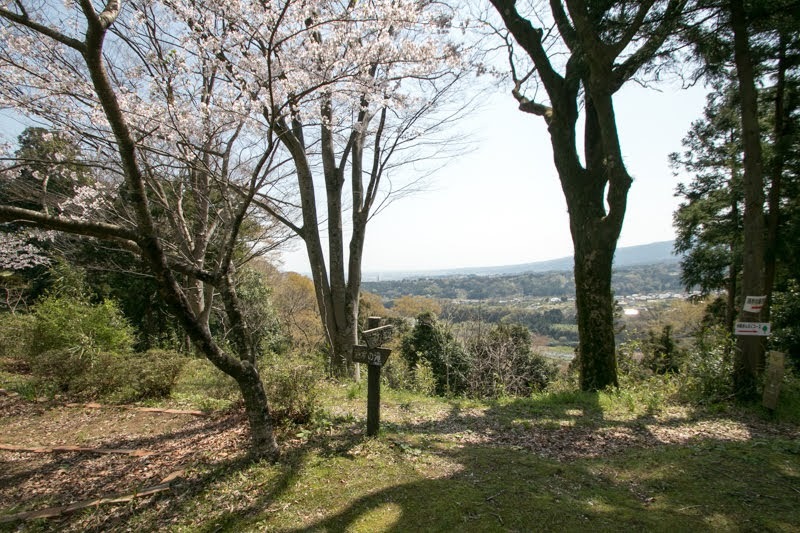 Scenery of the valley from the castle clearly shows the role of Kawamura castle to hold overwhelming enemy army at this choke point, even though it had not realized. 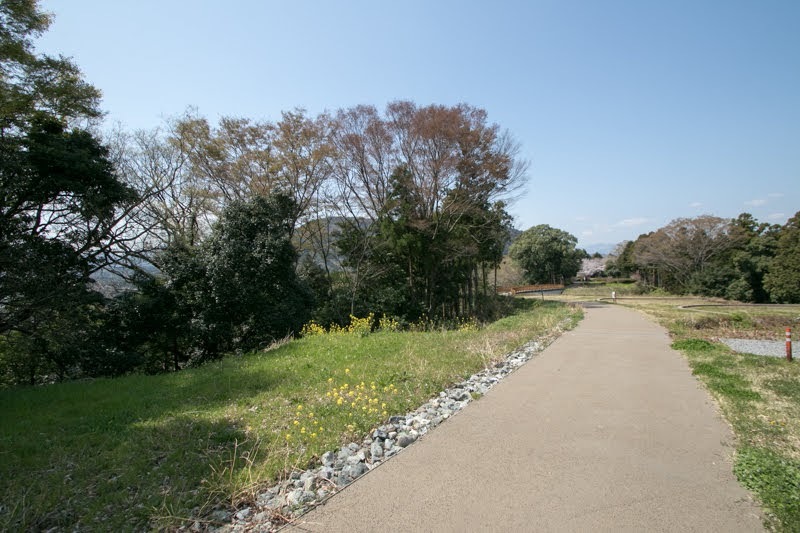 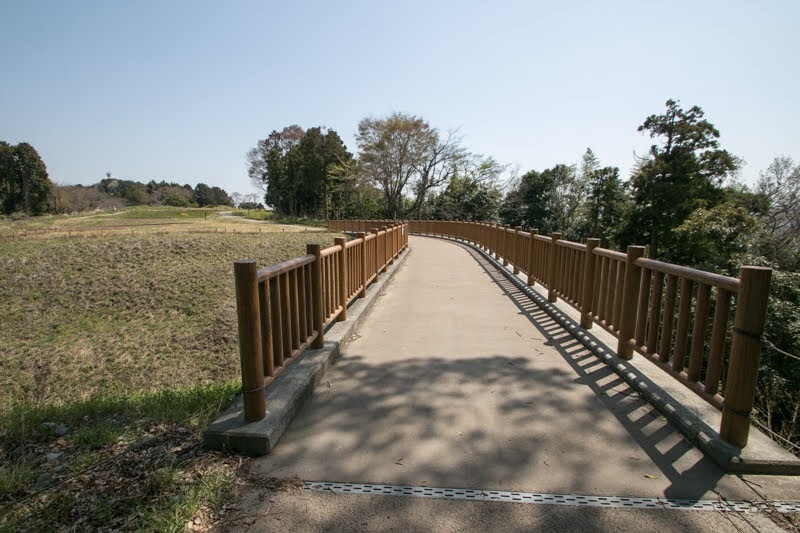 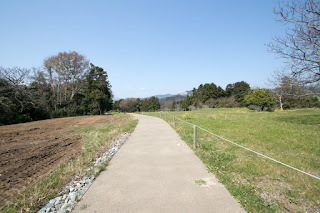 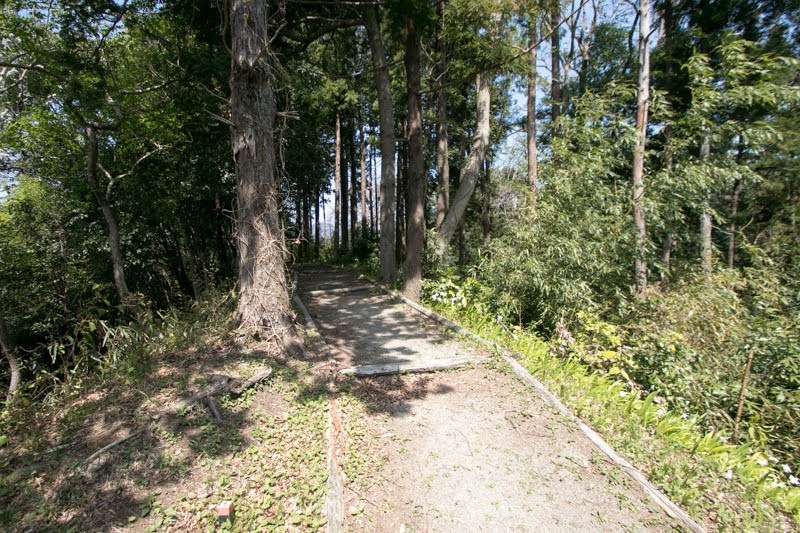 30 minutes walk from JR East Gotenba-sen line Yamakita station. 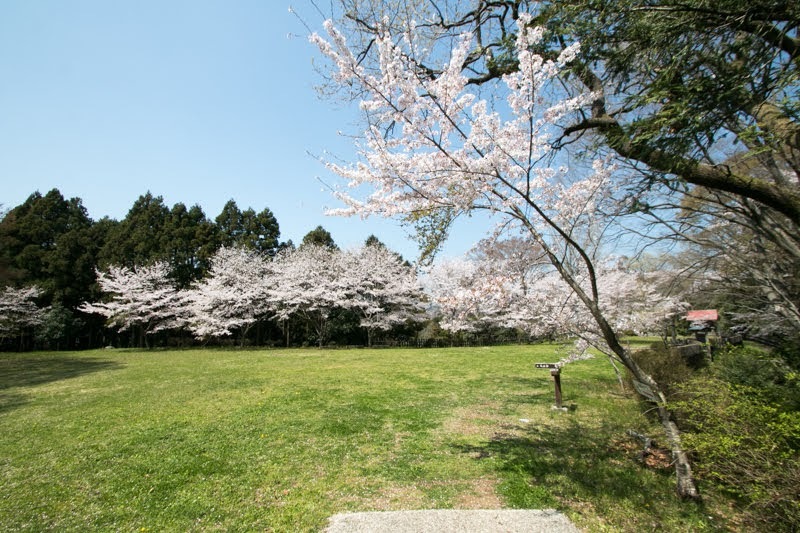 20 minutes drive from Tomei Expressway Oi-Matsuda interchange.